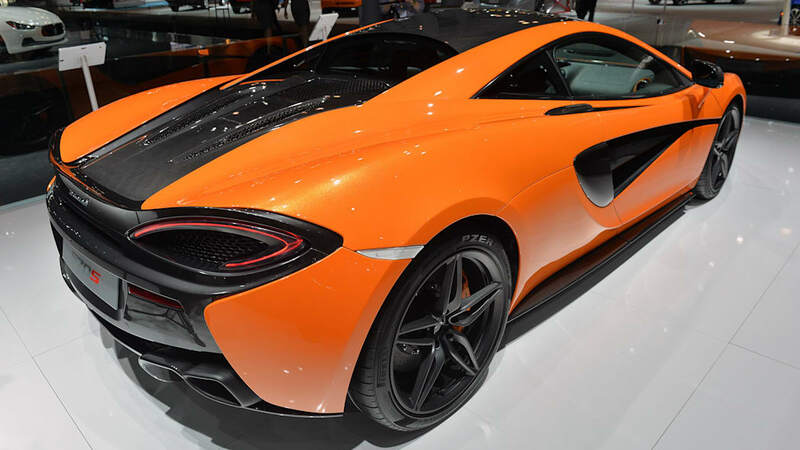 Having just worked our butts off at the Geneva Motor Show a couple of weeks ago, this year's New York Auto Show felt a little, well, slow. 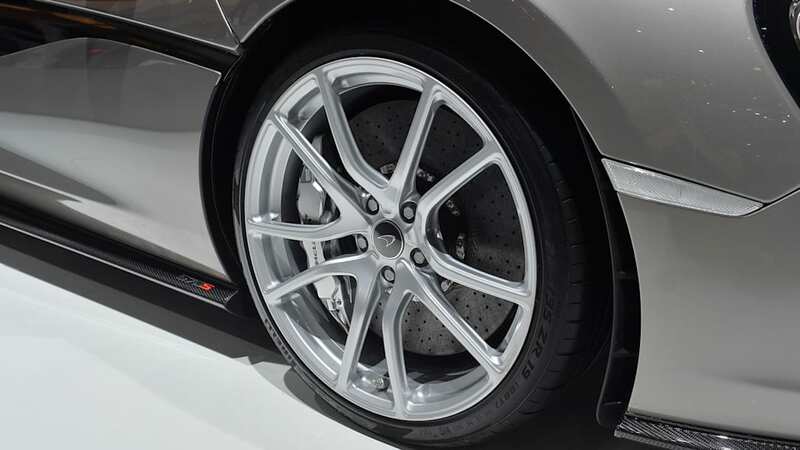 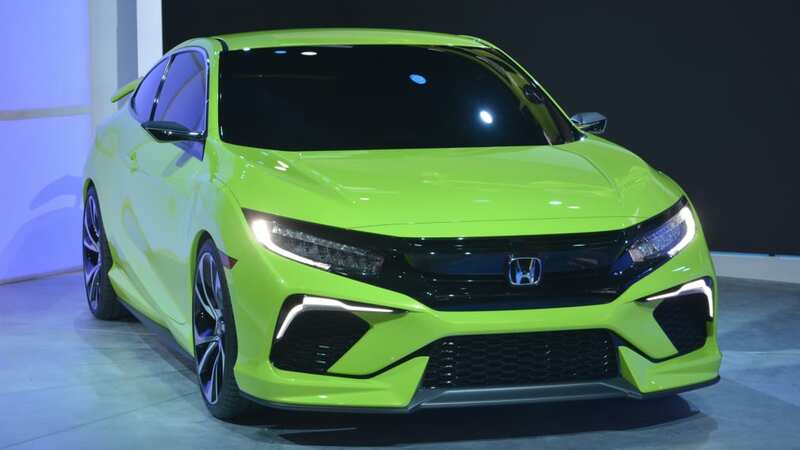 But that's also because the show's pace this was stretched beyond the two press days, with automakers rolling out important products throughout the week. 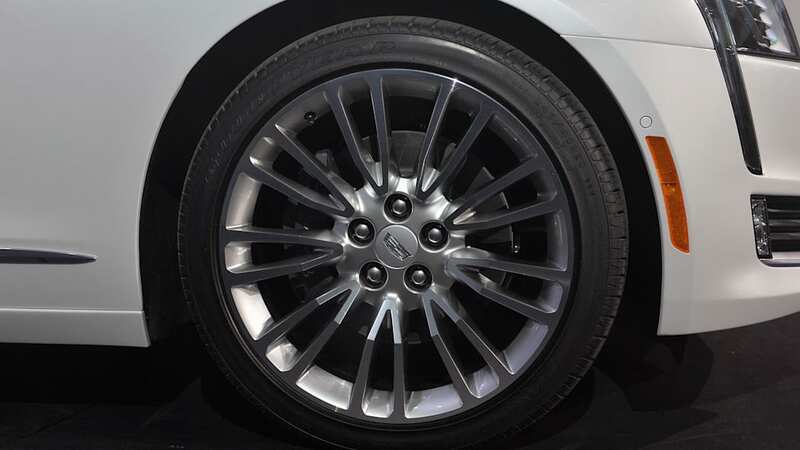 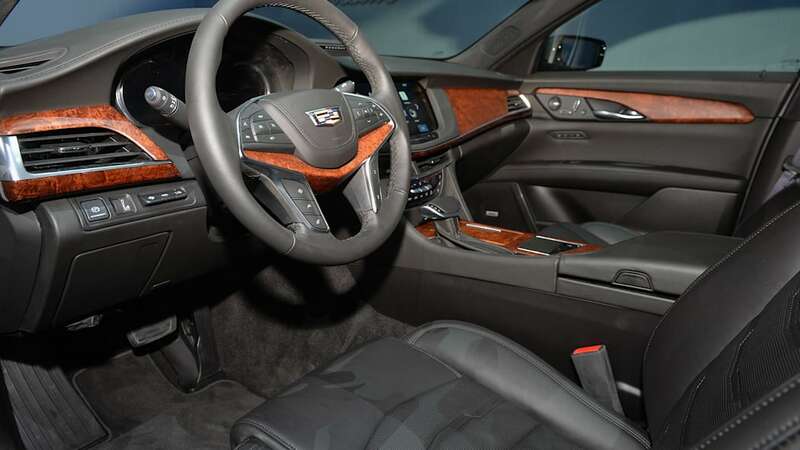 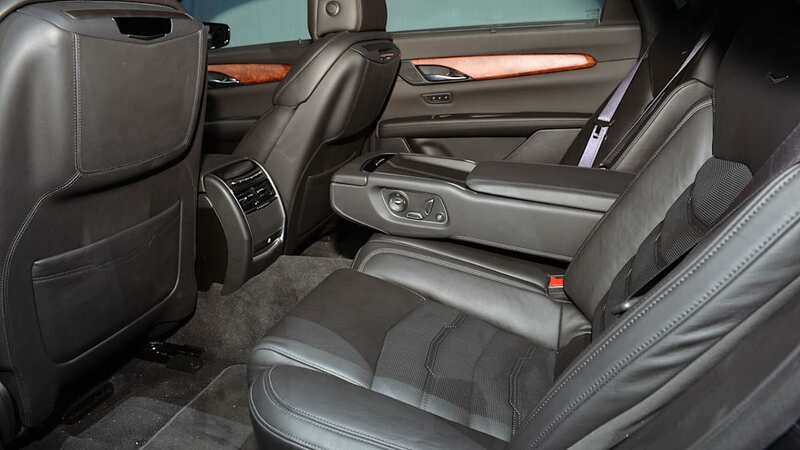 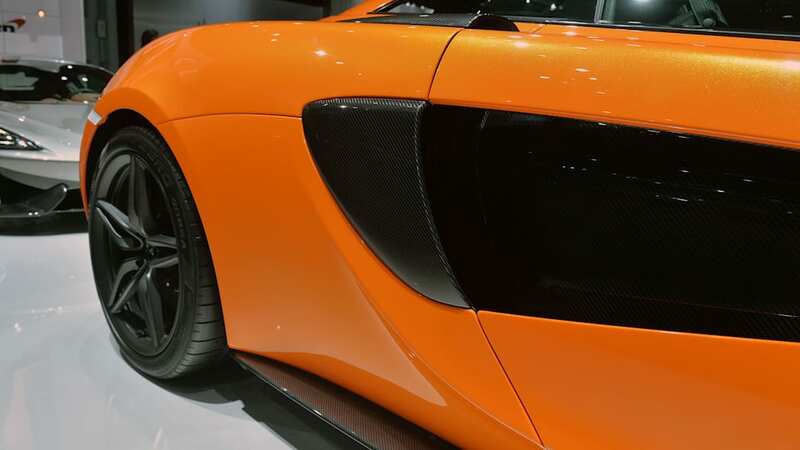 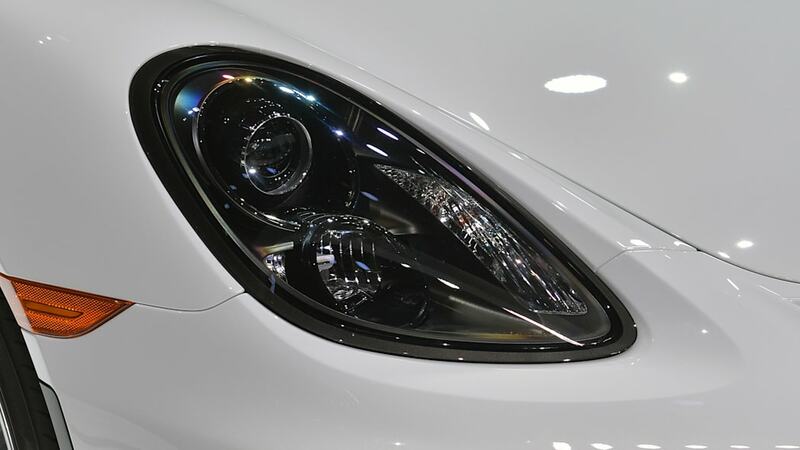 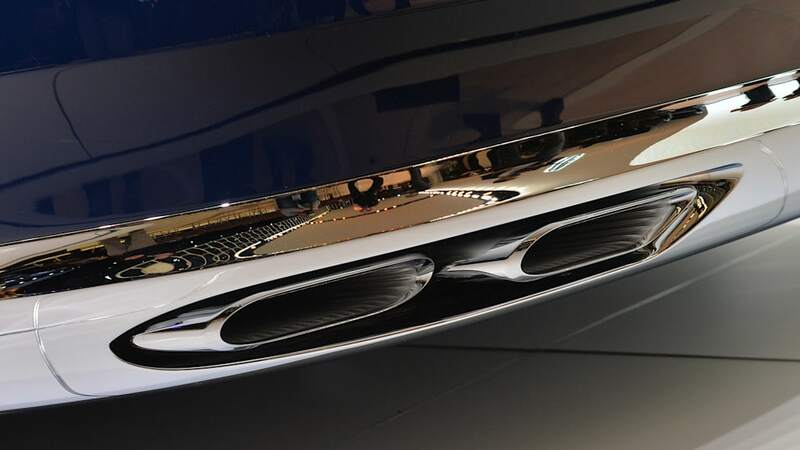 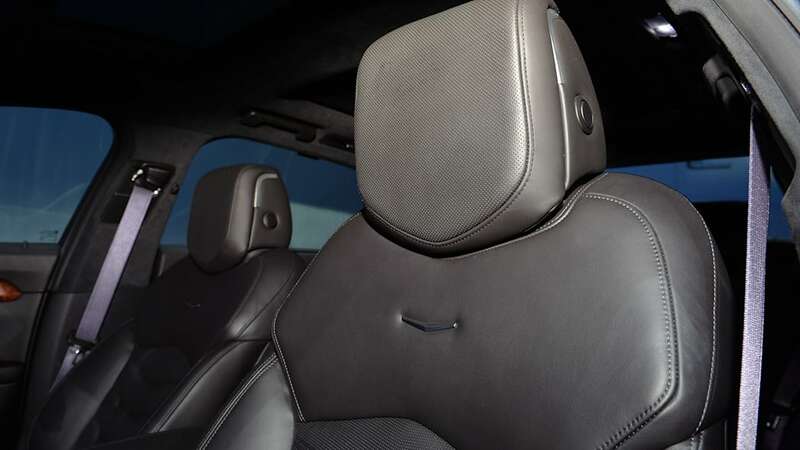 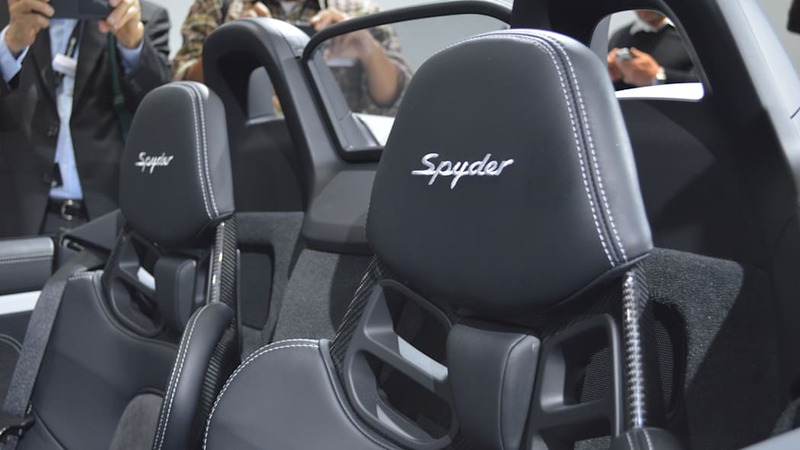 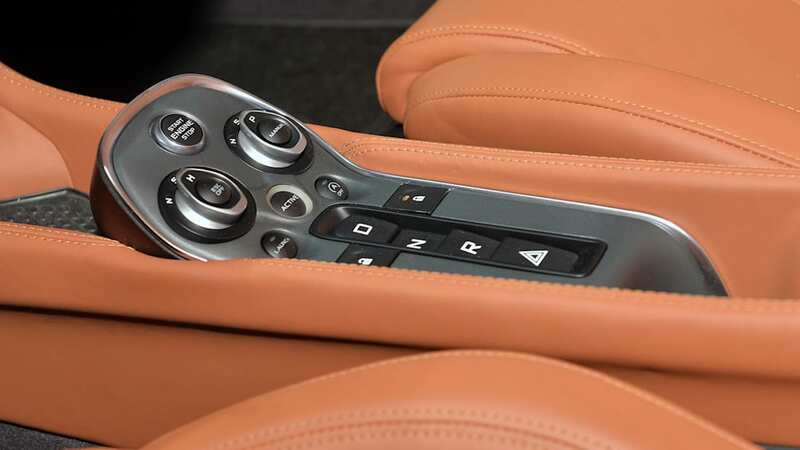 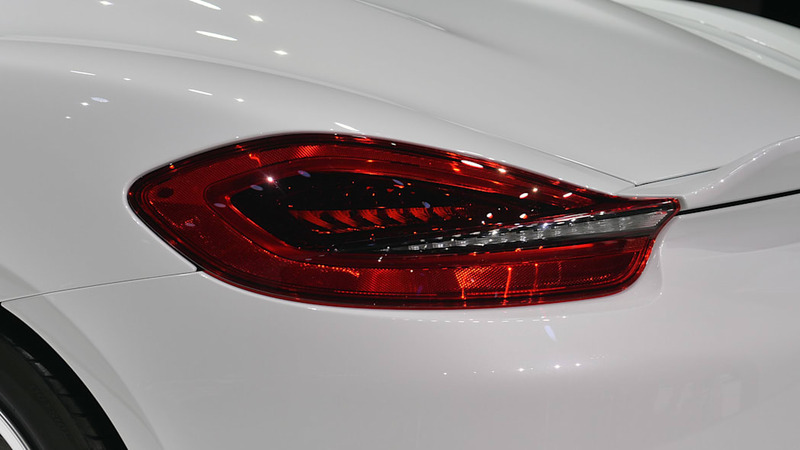 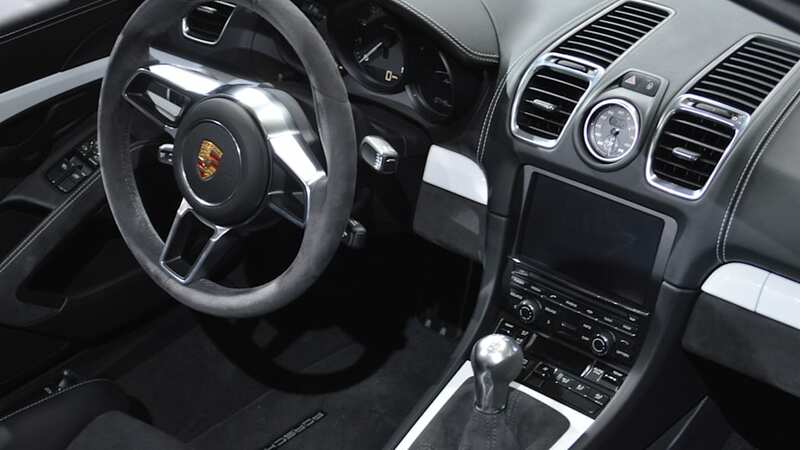 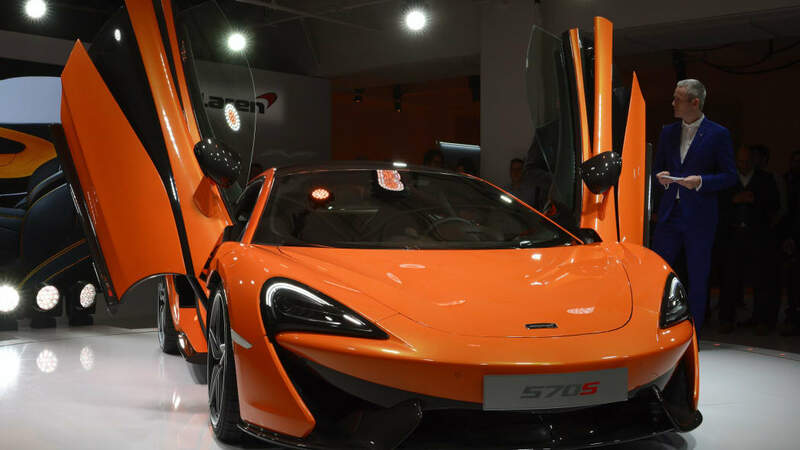 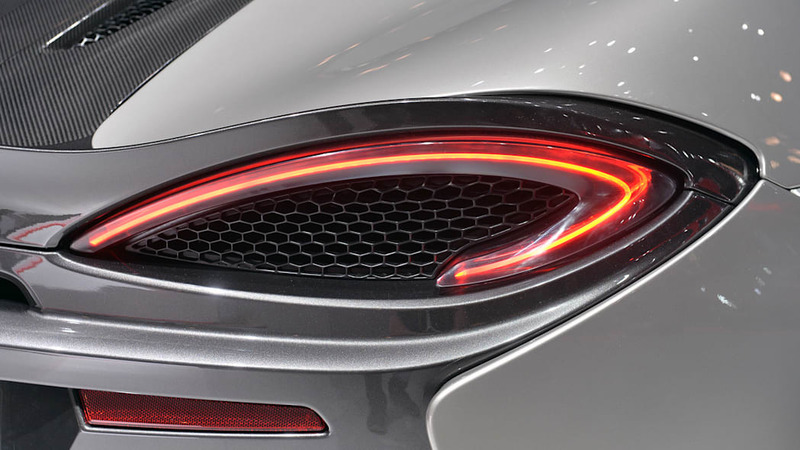 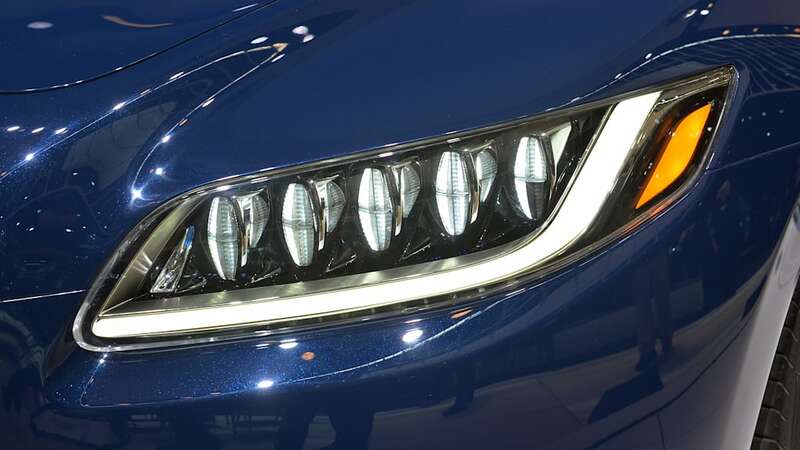 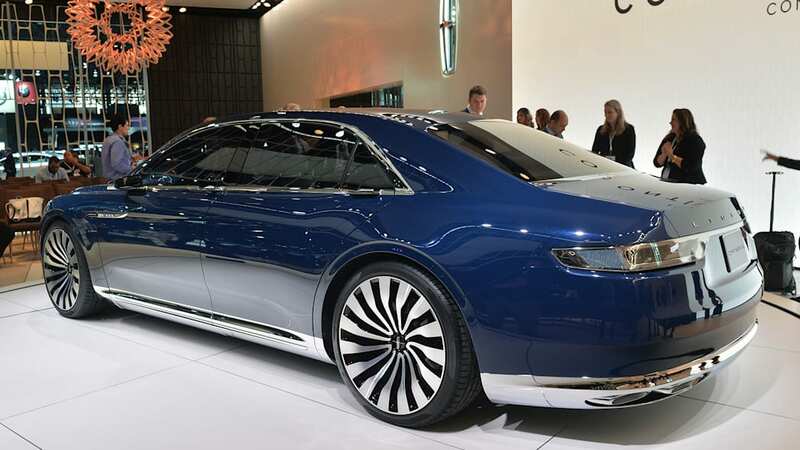 Before the doors even opened on April 1, we had already seen the Lincoln Continental, McLaren 570S, GMC Terrain, Jaguar XF, Volkswagen Golf SportWagen Alltrack and Beetle Concepts, Scion iA and iM, Cadillac CT6 and Porsche Boxster Spyder. 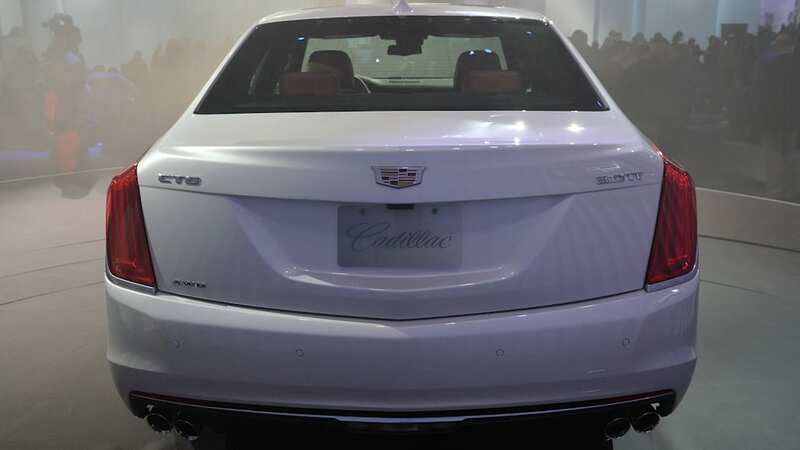 That's, like, half of the show. 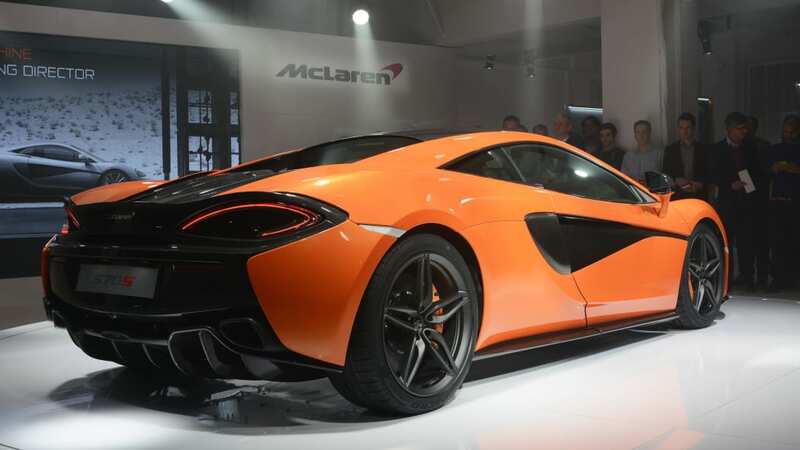 Those big debuts were complemented by equally important products that rolled out over the subsequent press days. 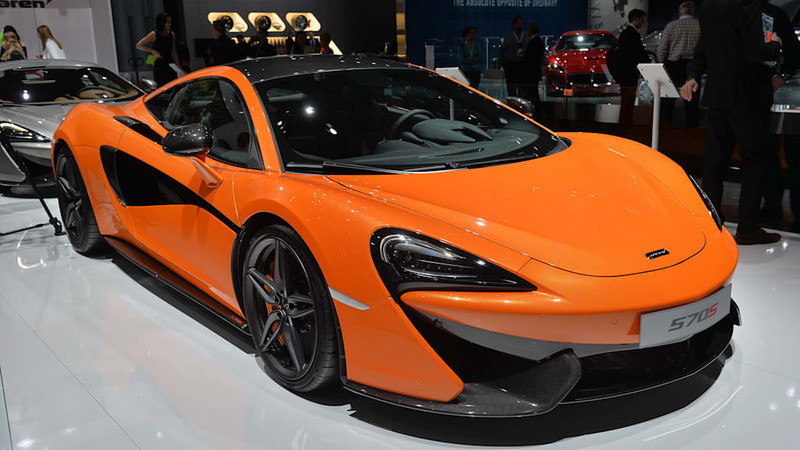 Now that the show's over (for the media, anyway), we've reflected on the whole week and picked our five favorite cars from this year's New York show. 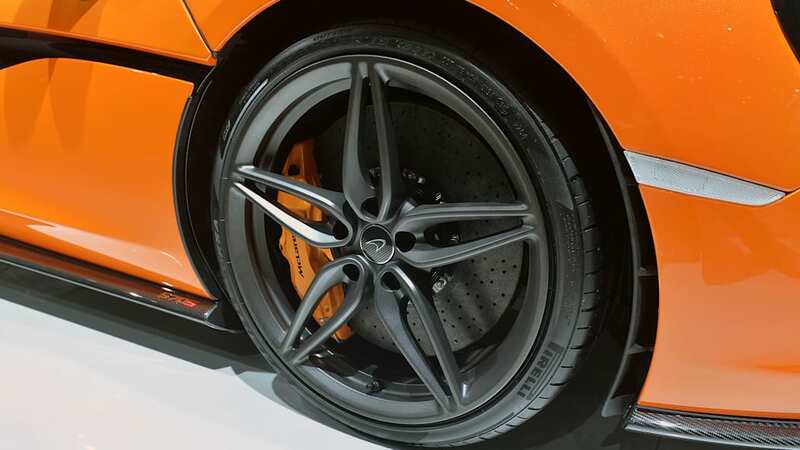 Have a look at our favorites, below, and then sound off in the Comments with your own fab five. 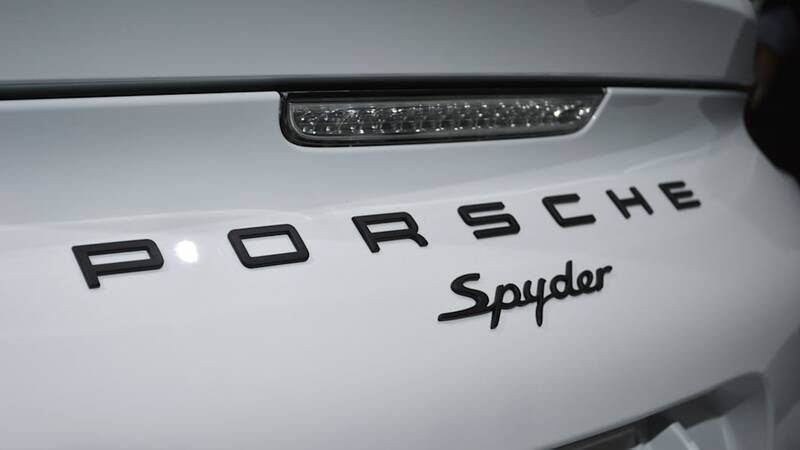 NOAH JOSEPH: Forget the hybrids, the crossovers and the luxury sedans... this is what Porsche does best: small sports cars, no frills. 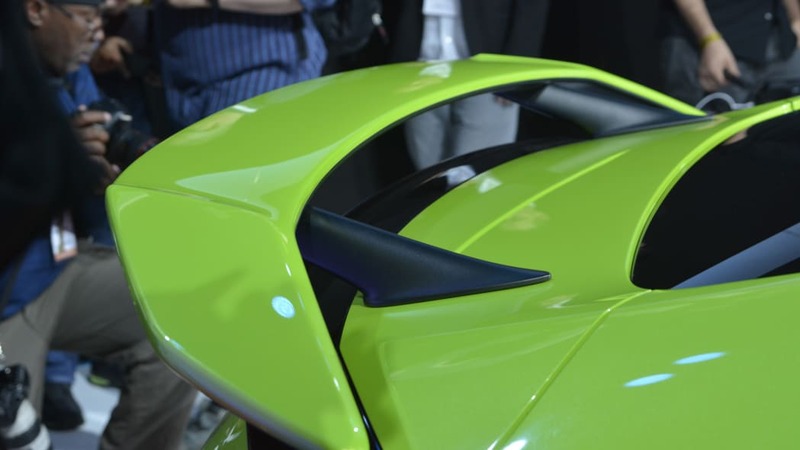 ERIN MARQUIS: Just look at it. 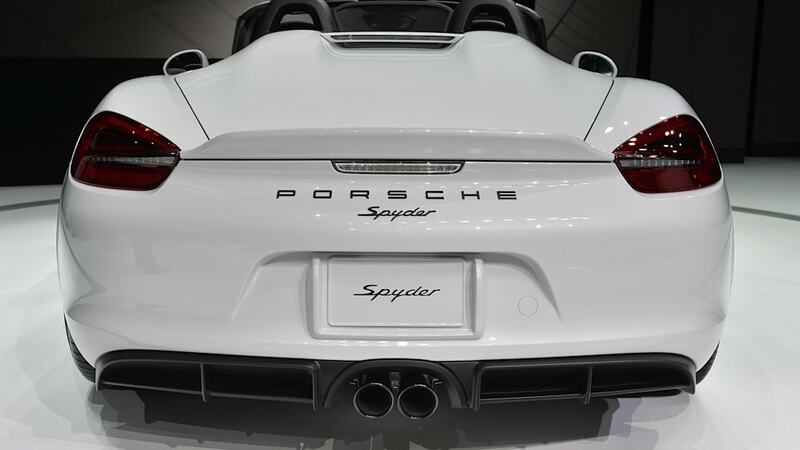 It screams fun to drive. 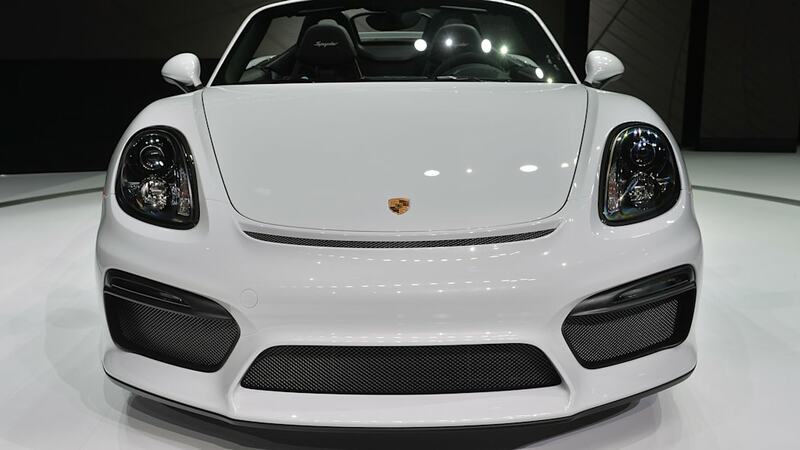 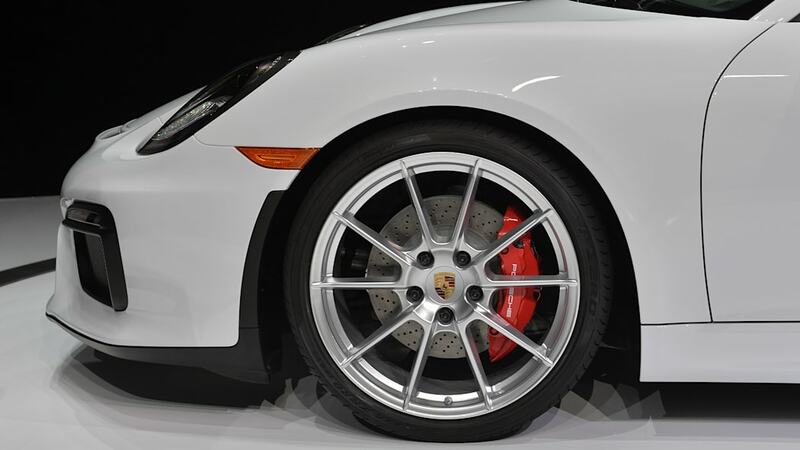 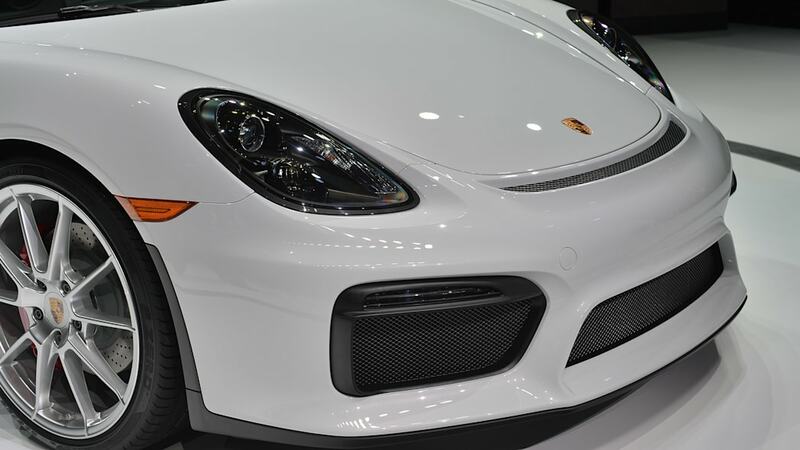 Light and low, Porsche made sure only fun loving drivers will saddle up to this pretty pony. 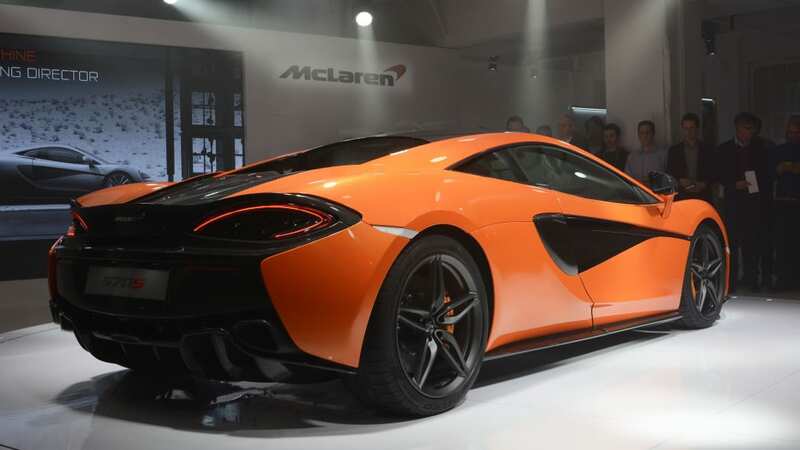 And it is quick, with a top speed of 180 mph and the ability to hit 60 miles per hour in 4.3 seconds. 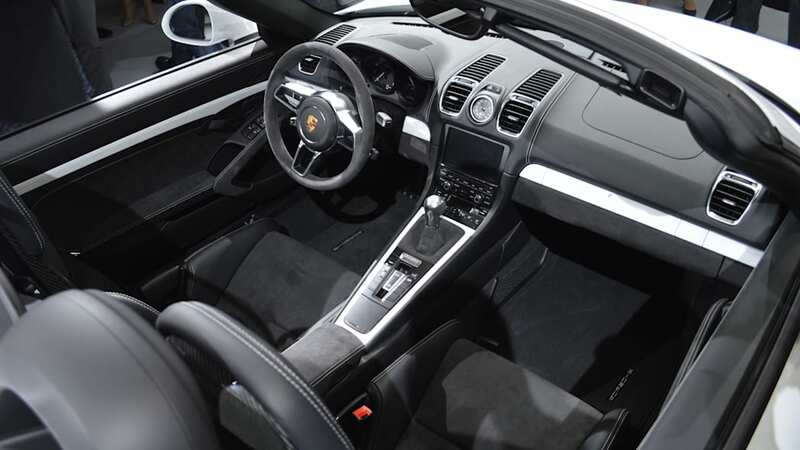 The interior is bare bones, but driving is the point of this car. 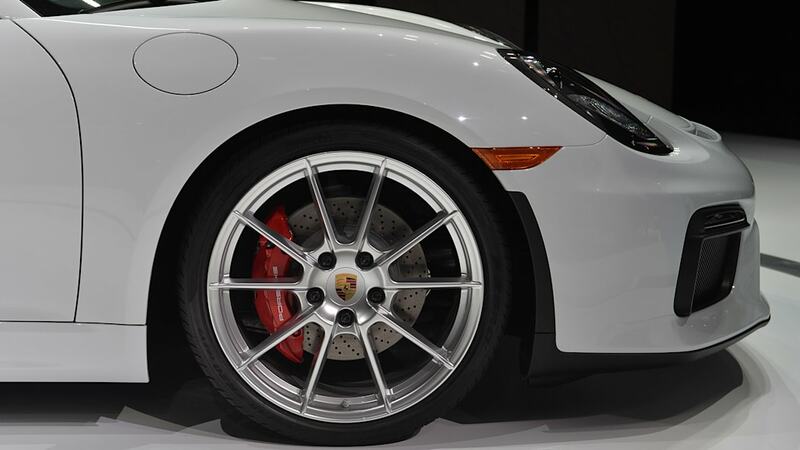 If you need bells and whistles (read: distractions from your relationship with the road) then look elsewhere. 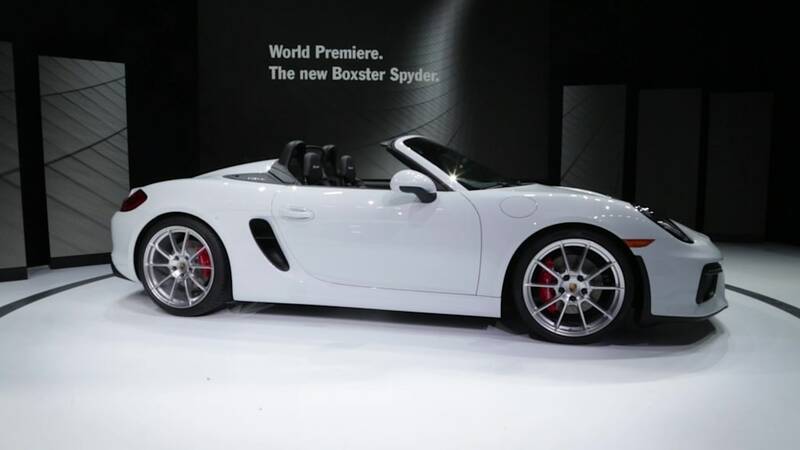 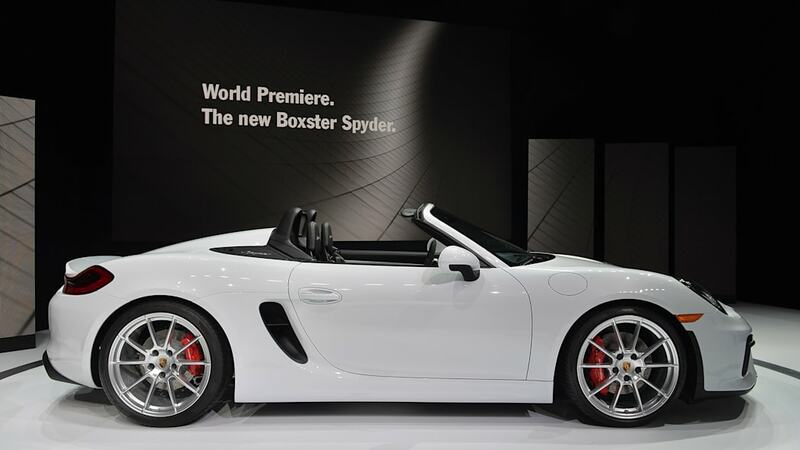 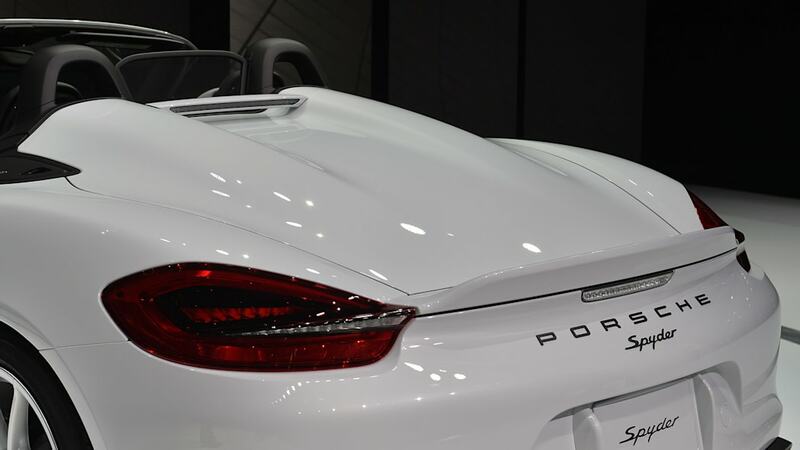 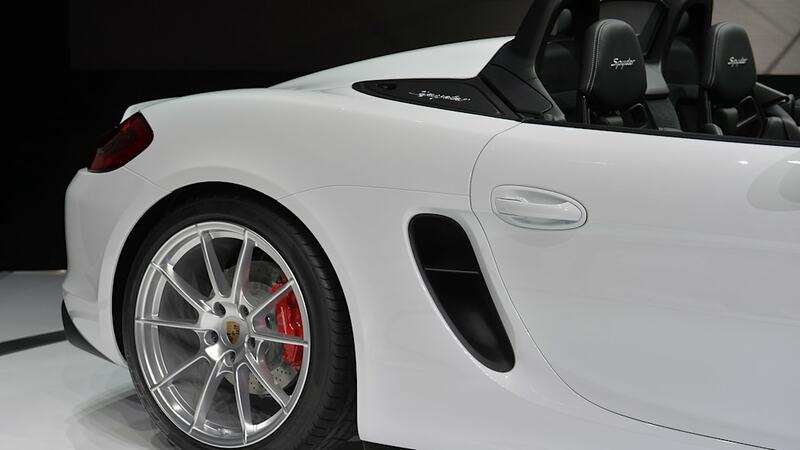 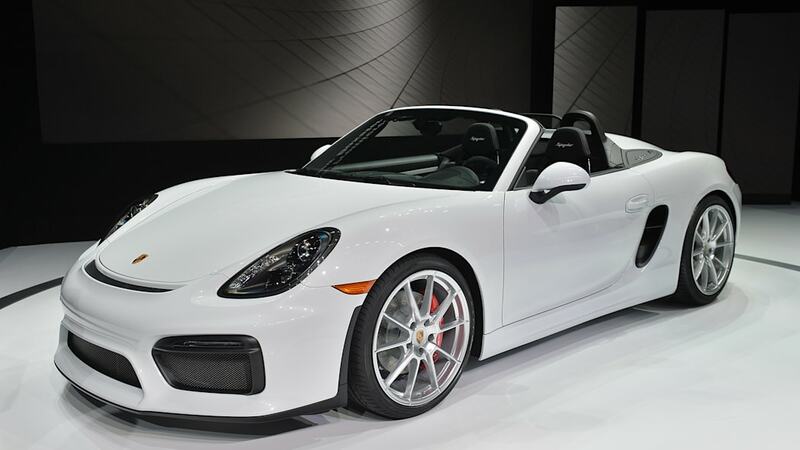 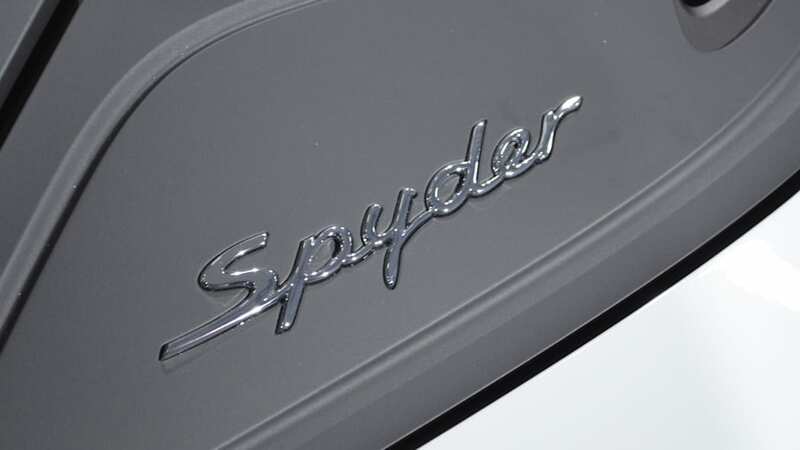 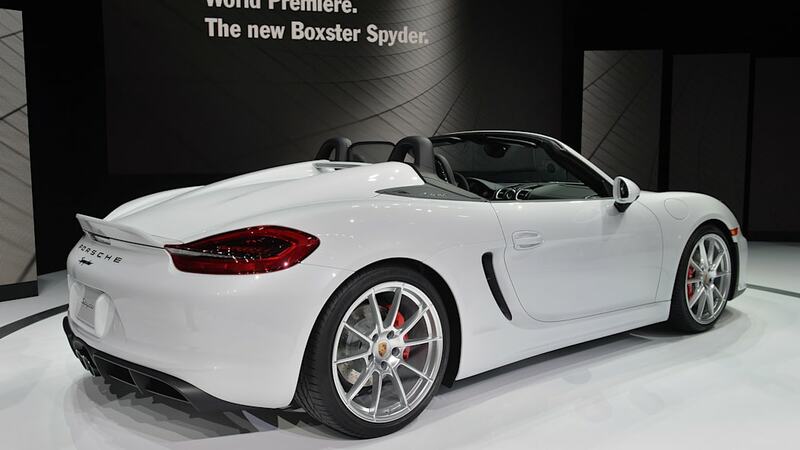 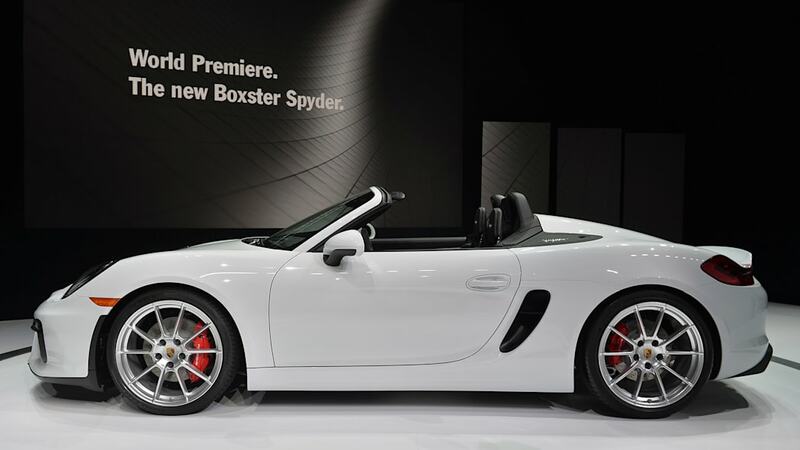 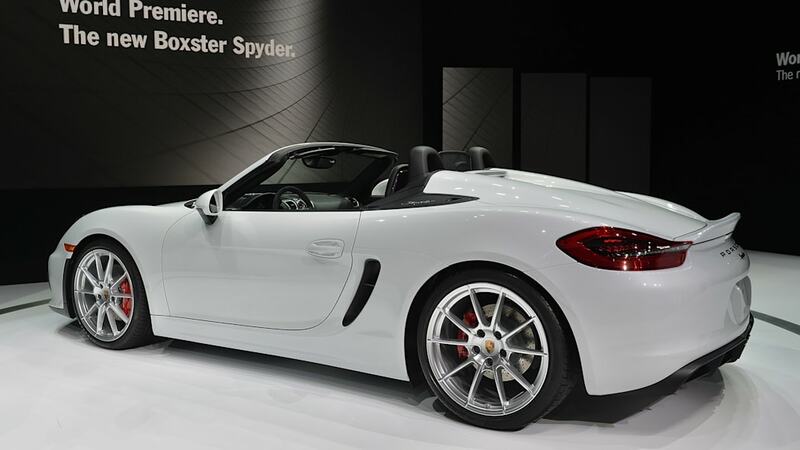 CHRIS BRUCE: Porsche tends to hang onto the Spyder name for special cars, and this Boxster certainly shows that. 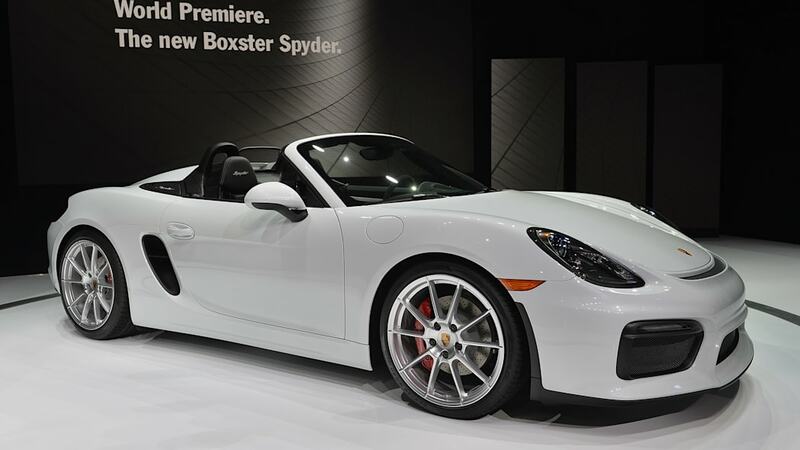 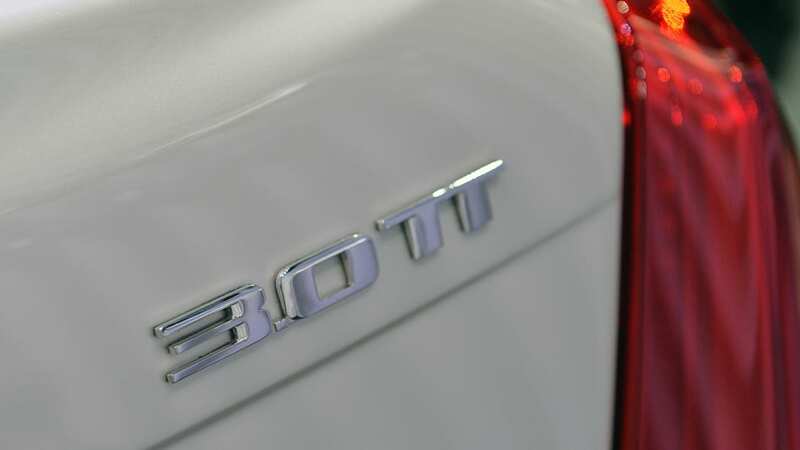 Sure, it has a 3.8-liter flat-six making 375 horsepower and is the lightest Boxster in the range, but the really cool touches are the aesthetic upgrades. 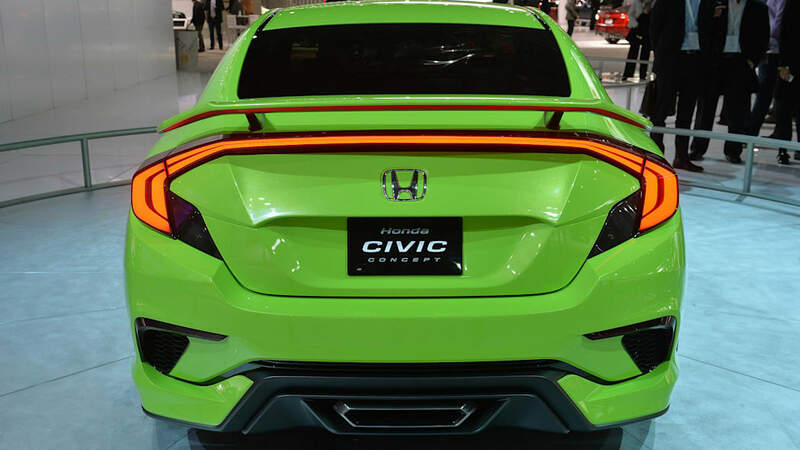 Those little nacelles behind each seat and ducktail spoiler at the back really make the look of the car. 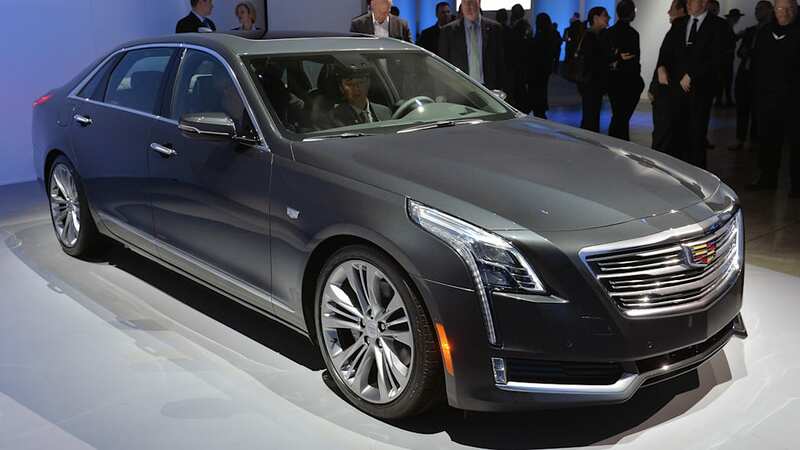 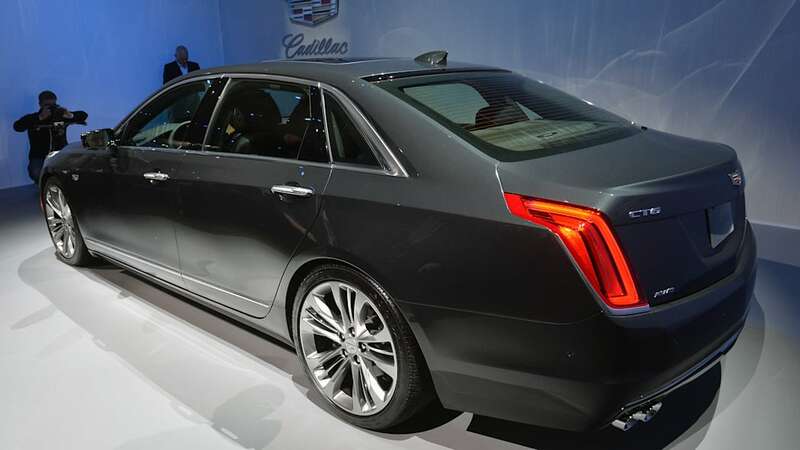 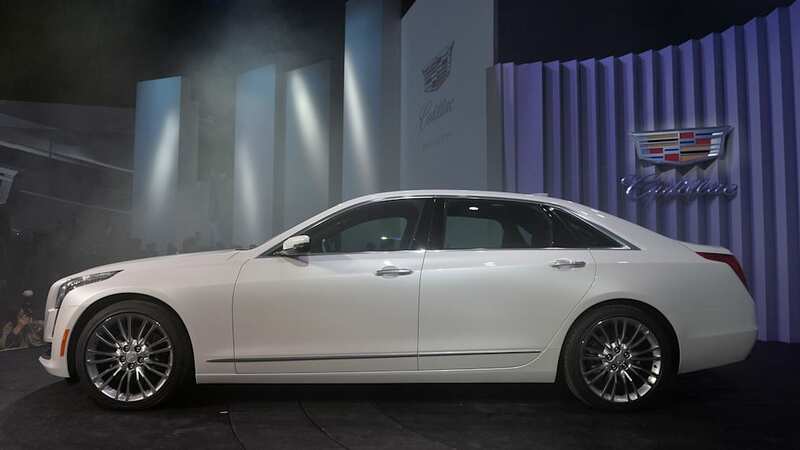 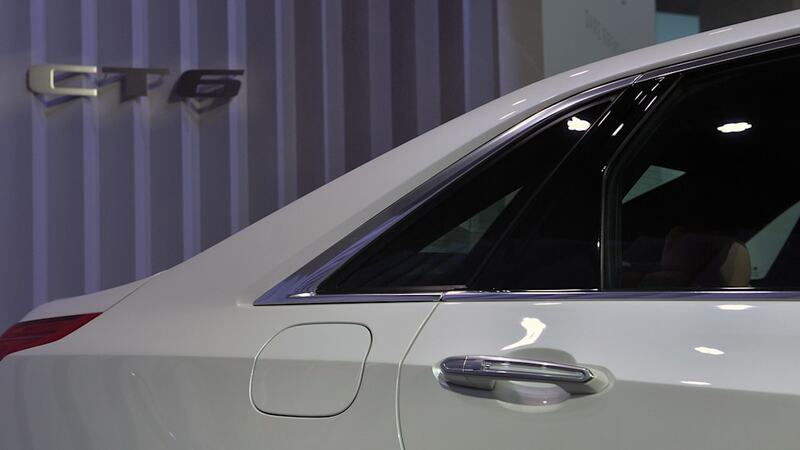 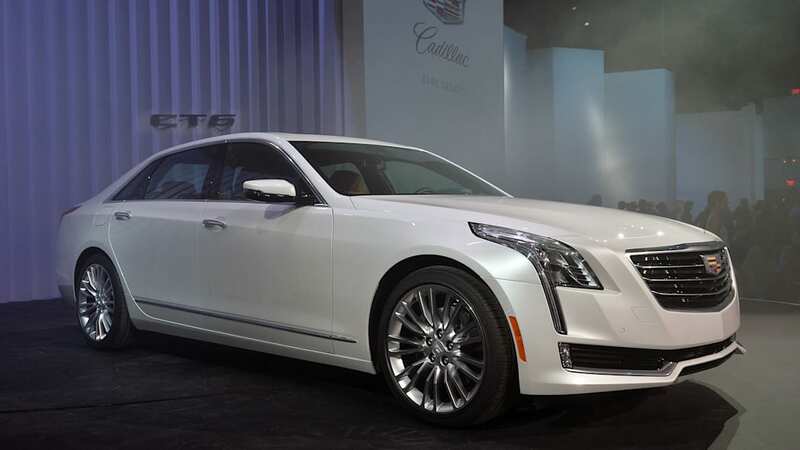 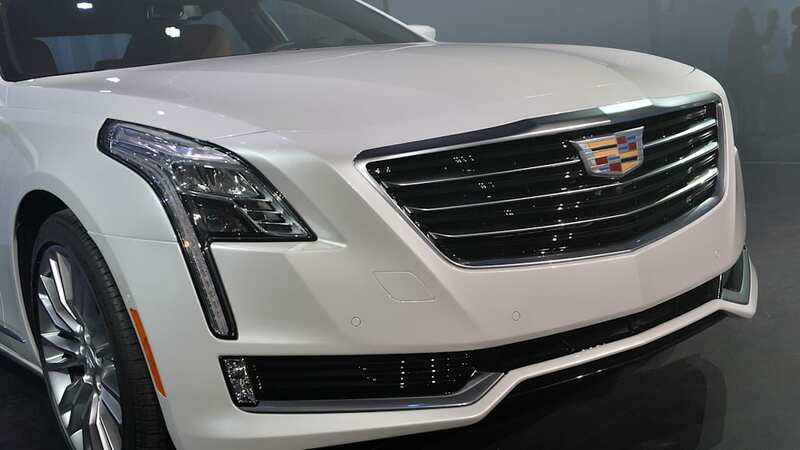 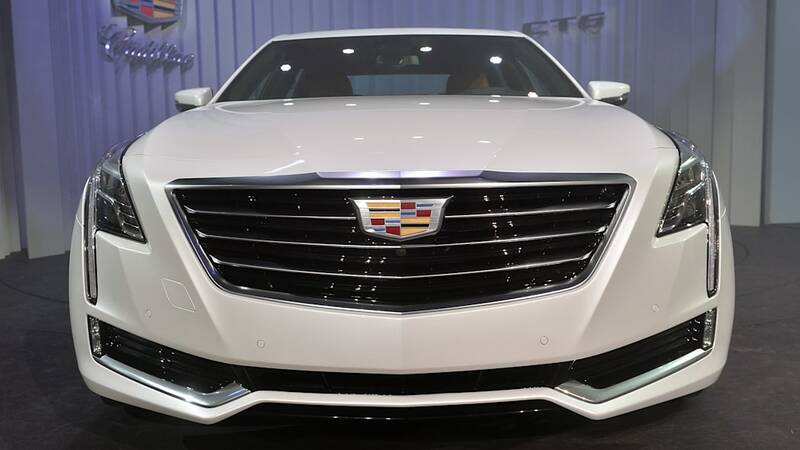 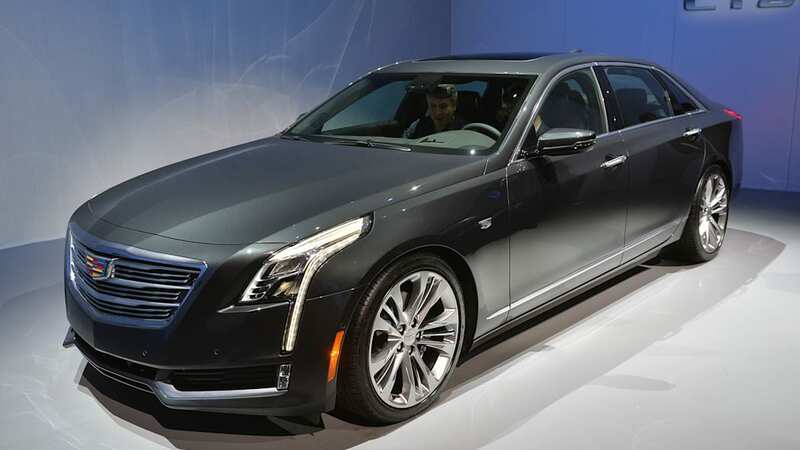 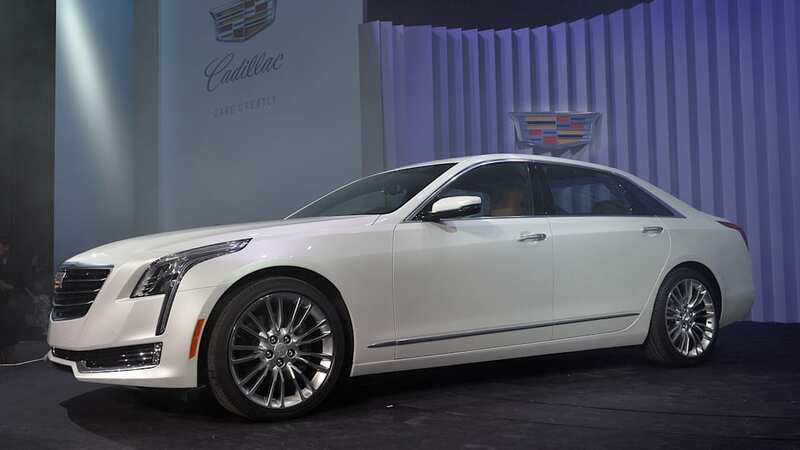 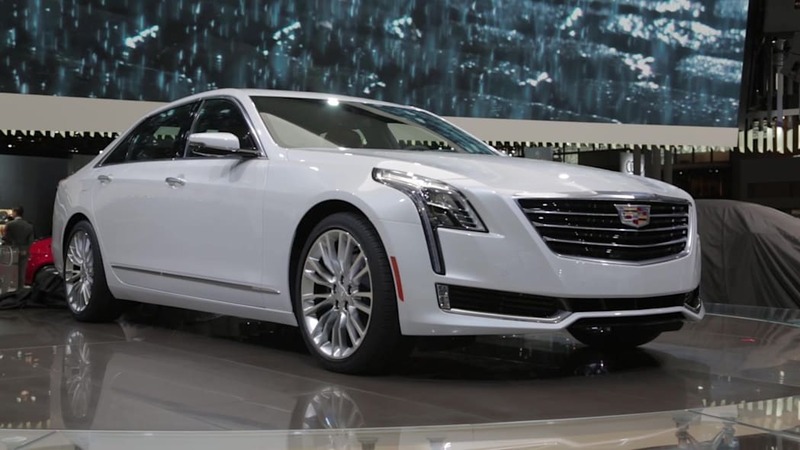 The 2016 Cadillac CT6 unveiled at the 2015 New York International Auto Show. 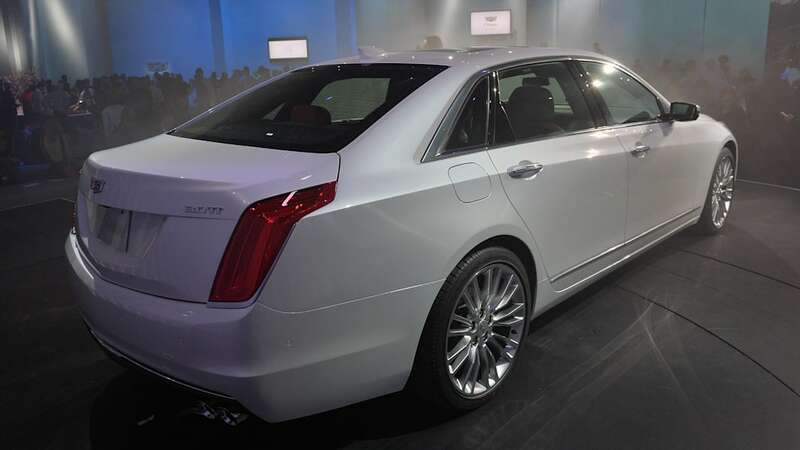 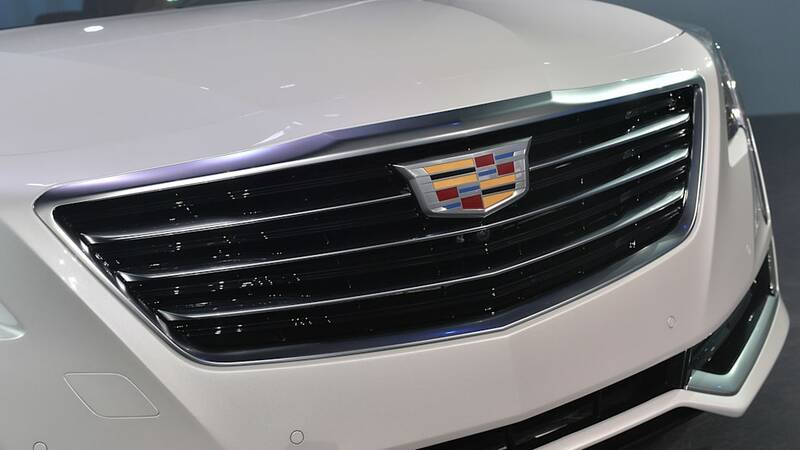 GREG MIGLIORE: This big sedan has all of Caddy's latest and best technology. 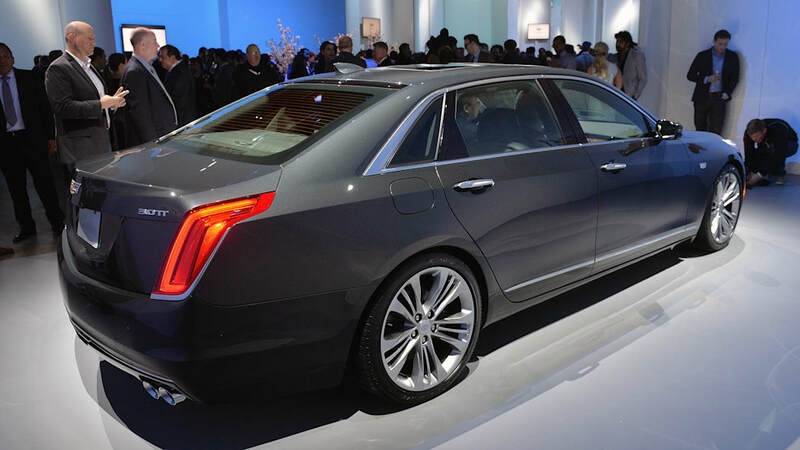 It looks imposing yet still displays confidence and elegance. 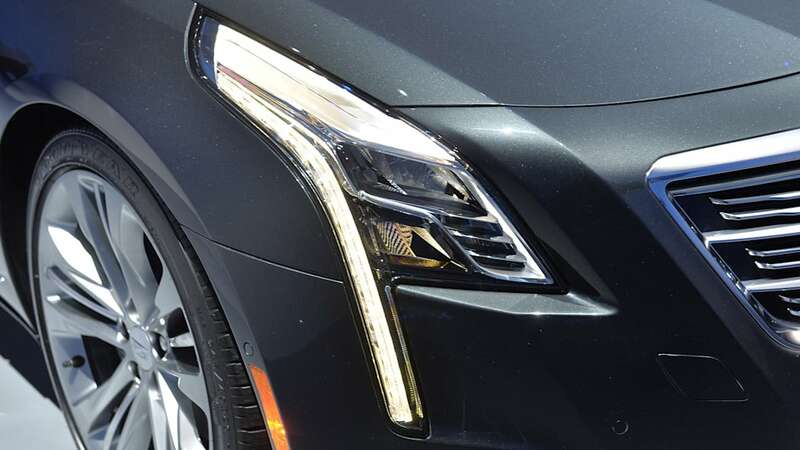 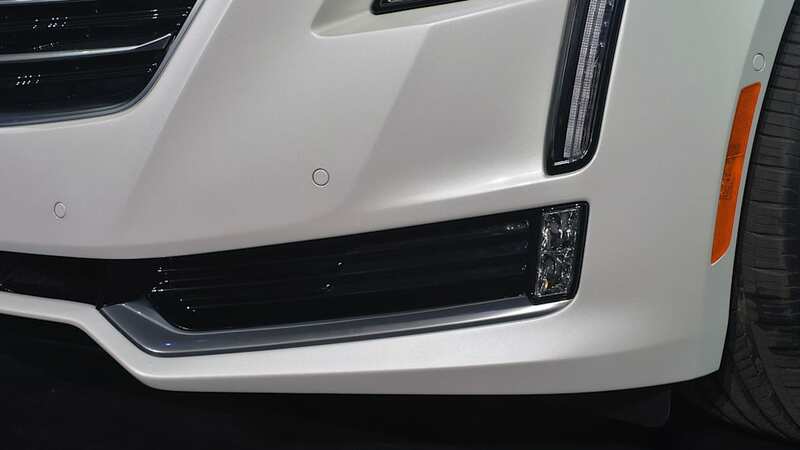 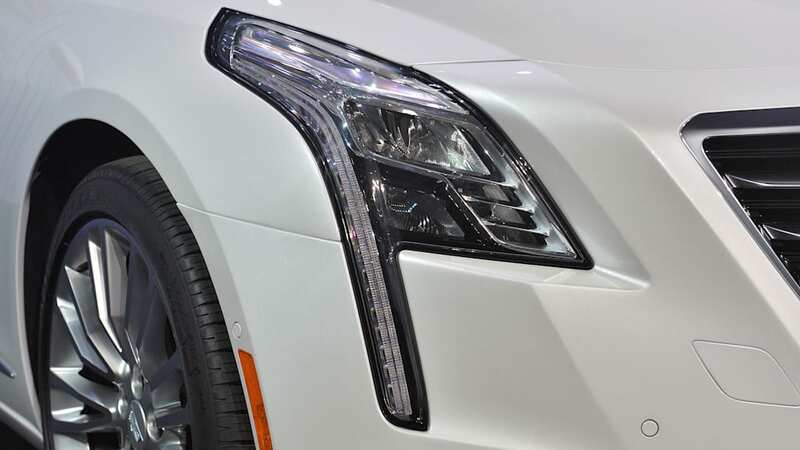 SEYTH MIERSMA: Sharp-edged Cadillac styling isn't surprising on this flagship car, but I do think it might look best in this big-body format. 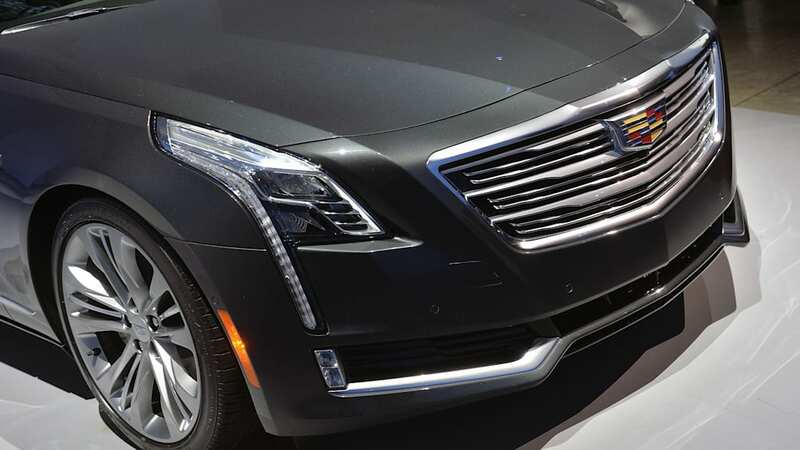 I'm excited to ride in and drive this Caddy, and I'm really excited that the XTS isn't at the top of the GM food chain anymore. 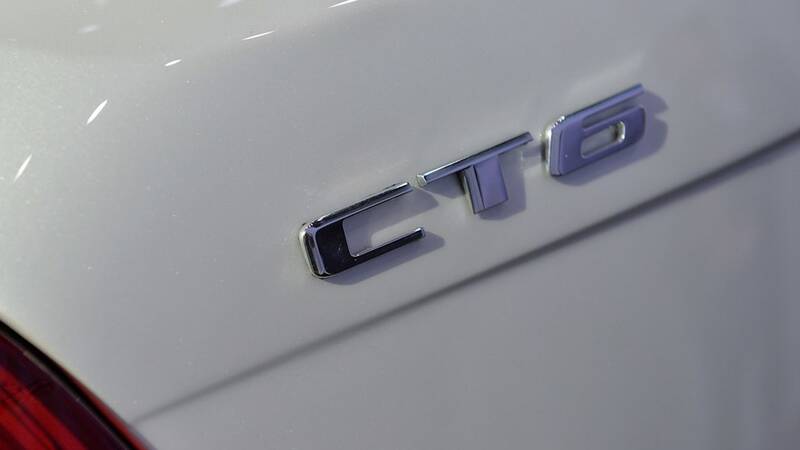 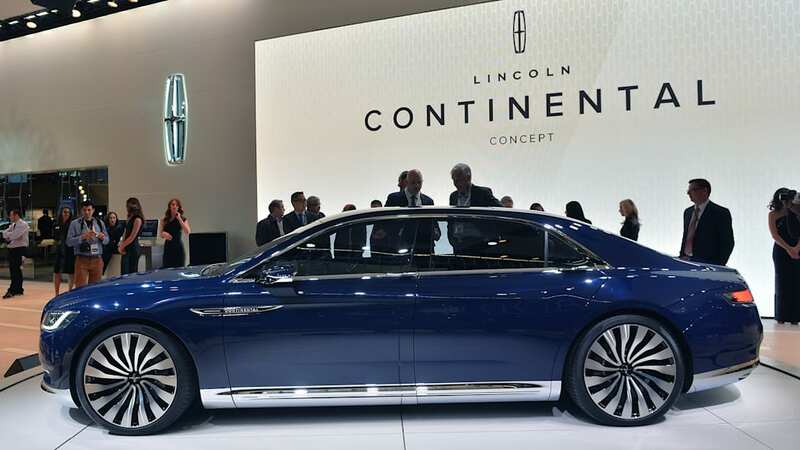 CHRIS BRUCE: The Lincoln Continental might be the bigger surprise in New York, but I still prefer the CT6. 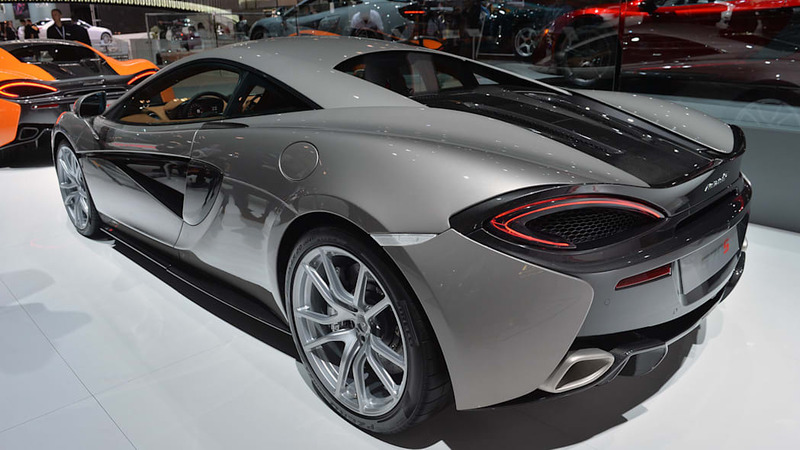 Its long, razor-sharp lines look upscale and thoroughly modern. 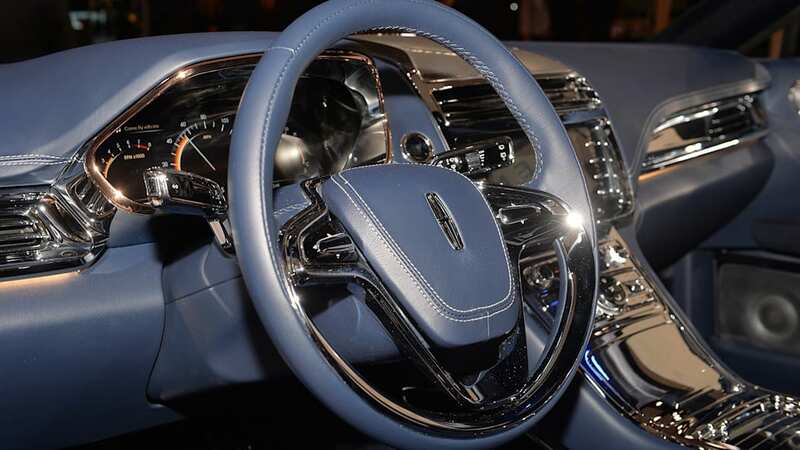 The design is simultaneously aggressive yet handsome, like a heavyweight boxer wearing a tailored three-piece suit. 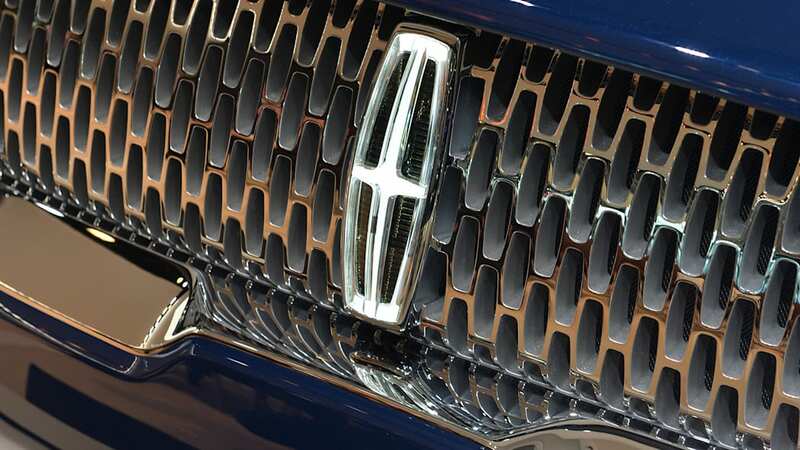 Beyond the styling, it's a tech powerhouse. 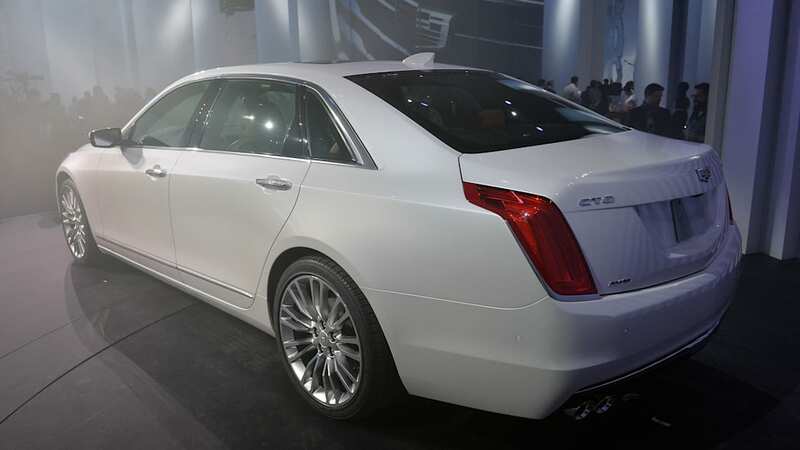 Just the fact Caddy's engineers are able to bring the big sedan's weight in below the current BMW 5 Series is impressive. 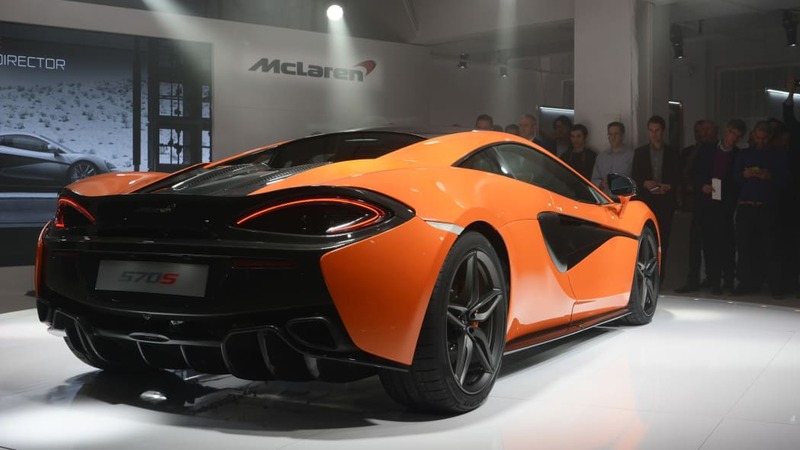 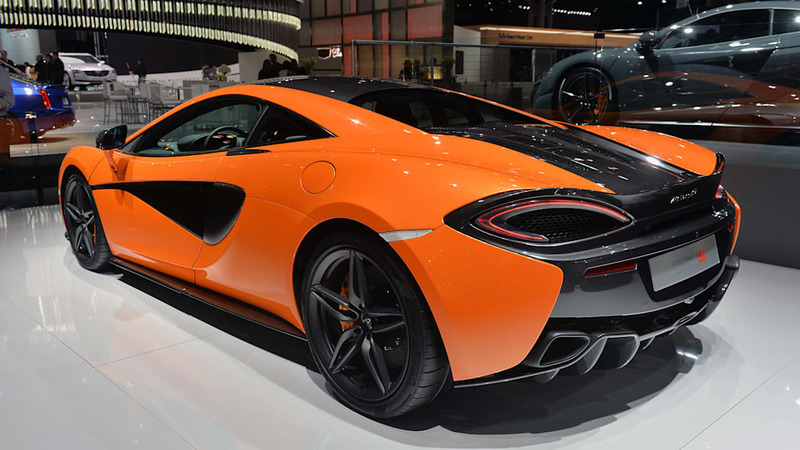 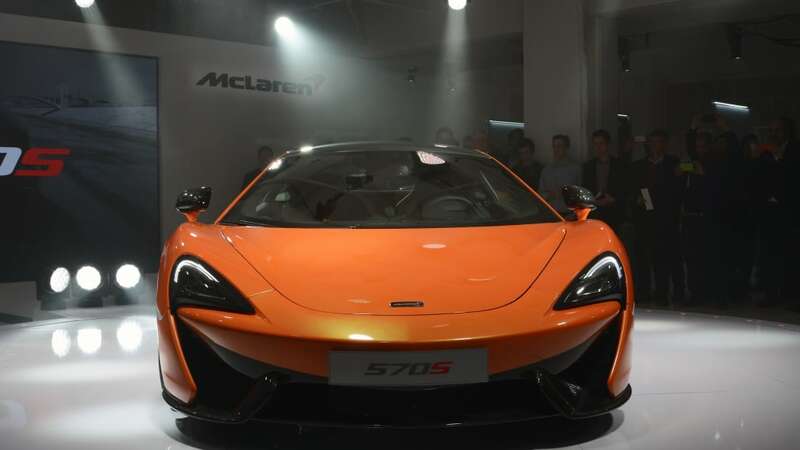 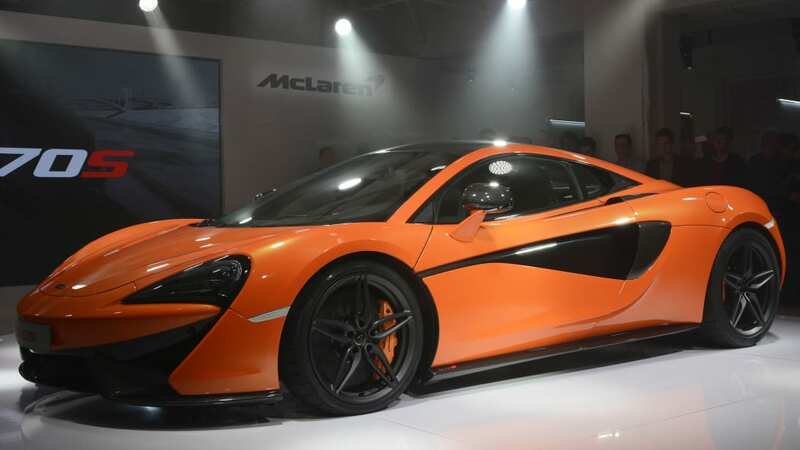 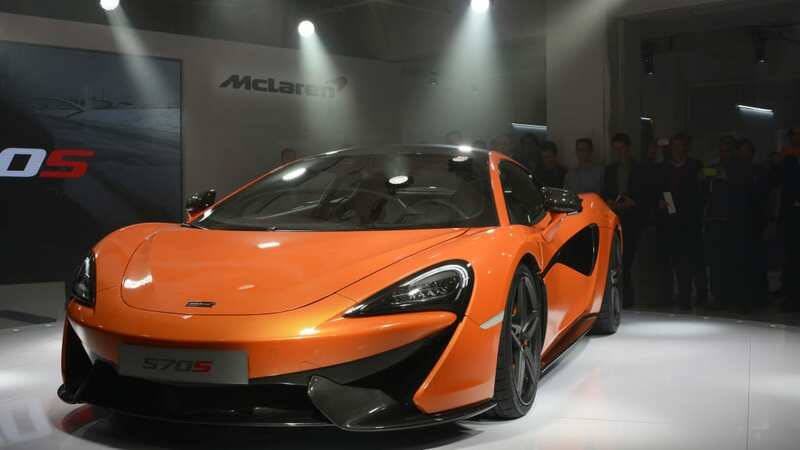 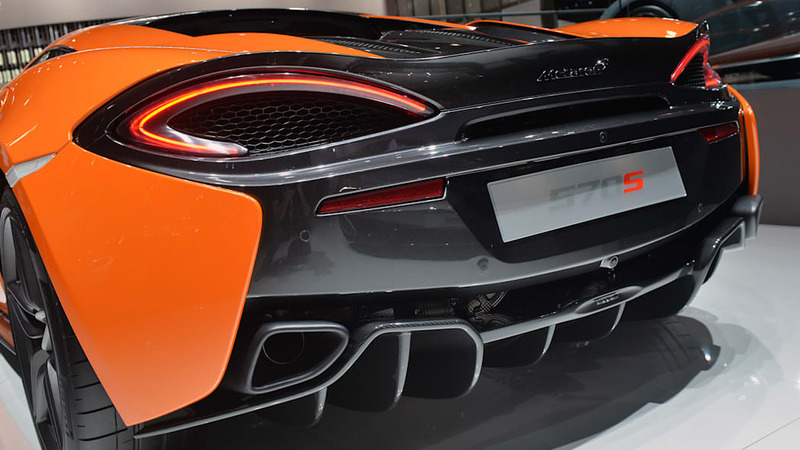 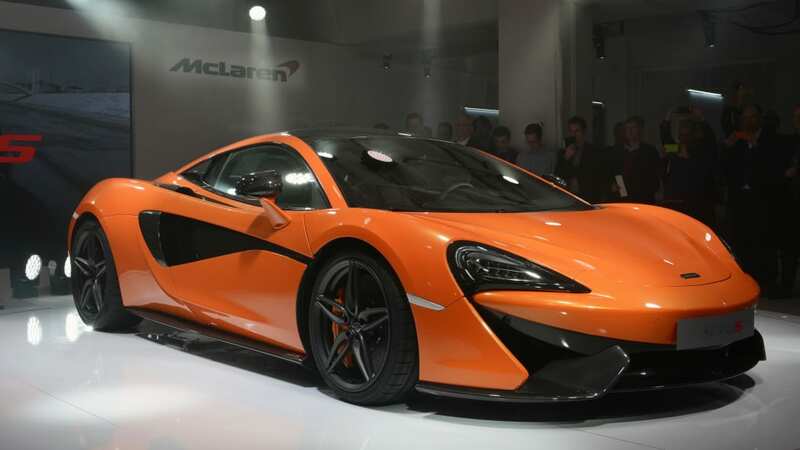 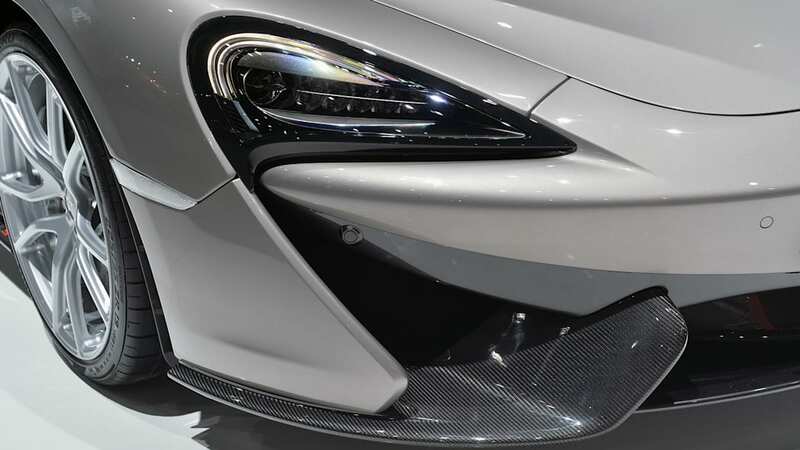 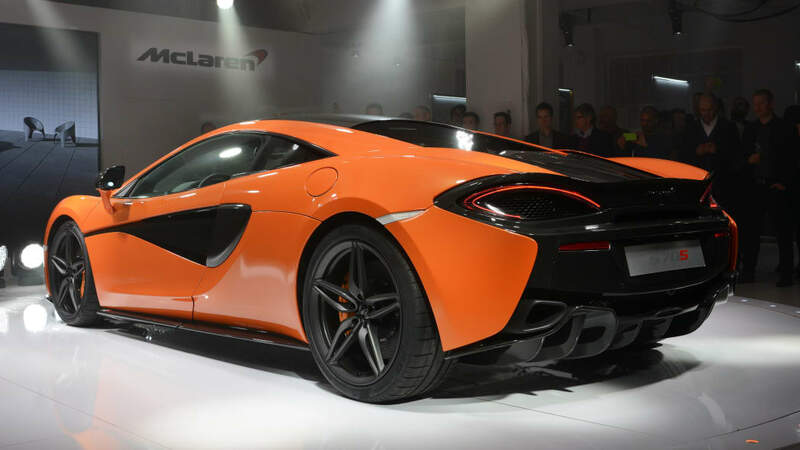 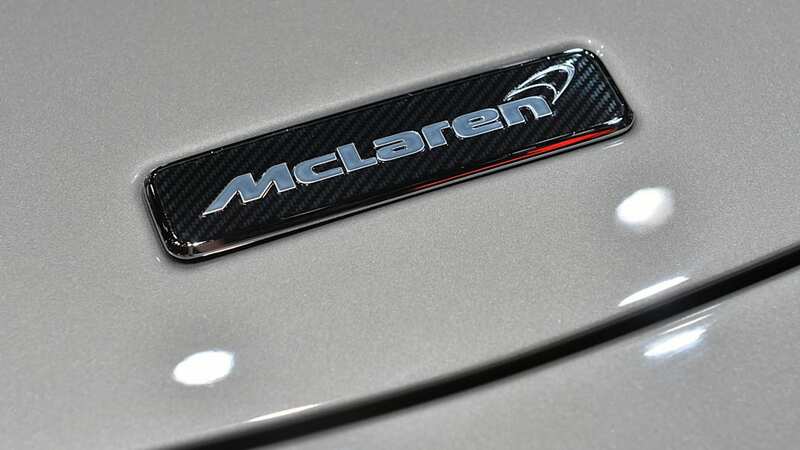 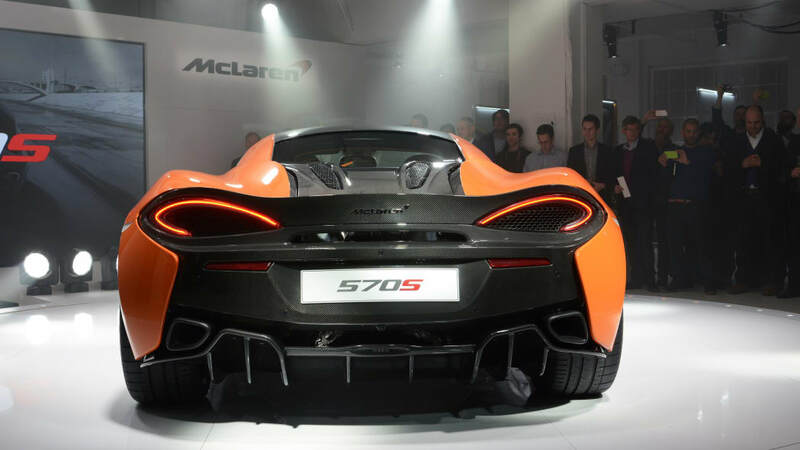 SEYTH MIERSMA: I find McLaren taking on Porsche 911-style lineup variety really exciting. 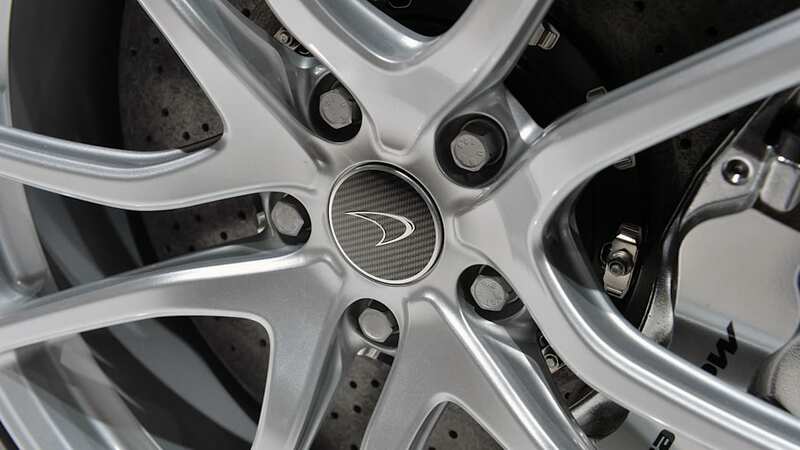 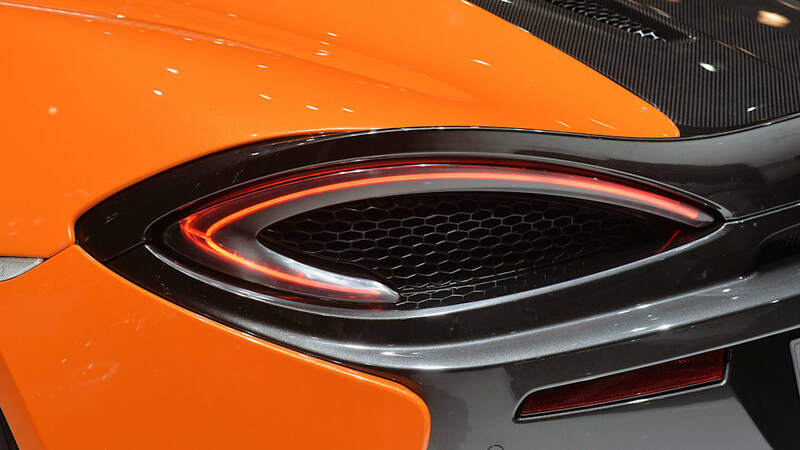 Little Mac still reads as "supercar" – in fact it might be my favorite design of the company's current lineup. 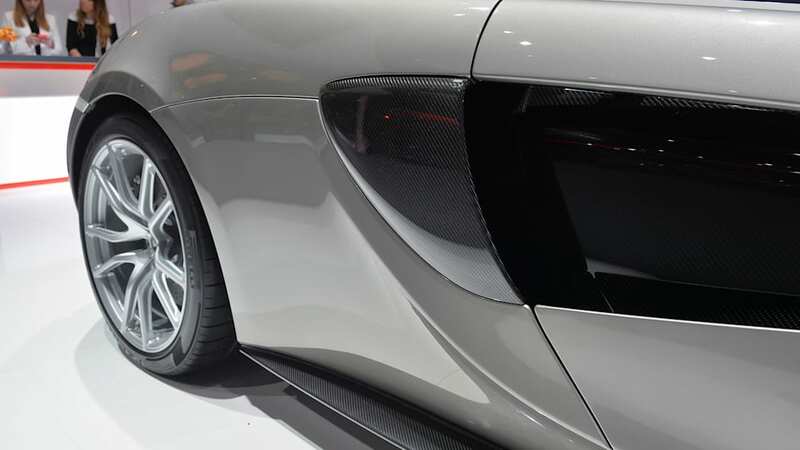 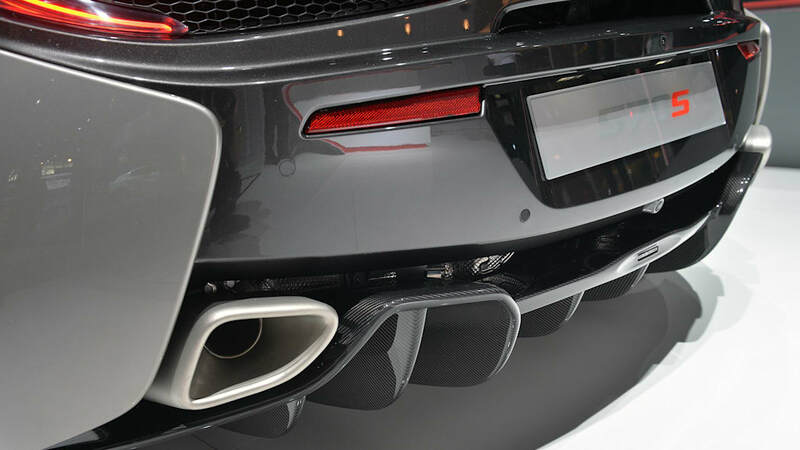 It's also a future foil of the Audi R8. 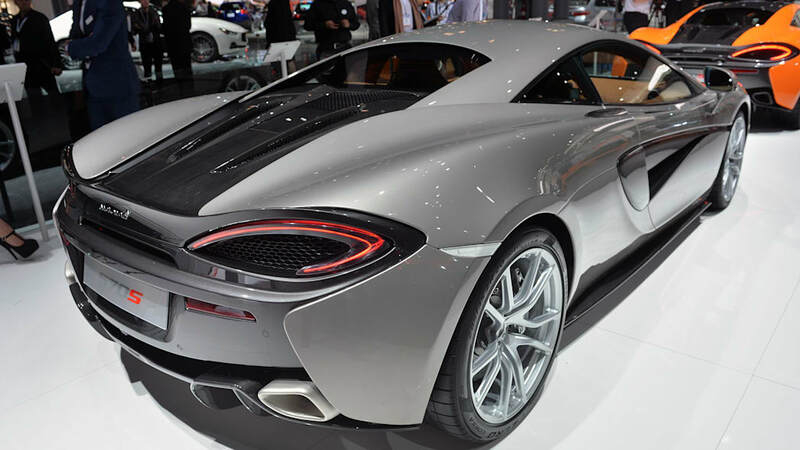 Let the comparisons commence. 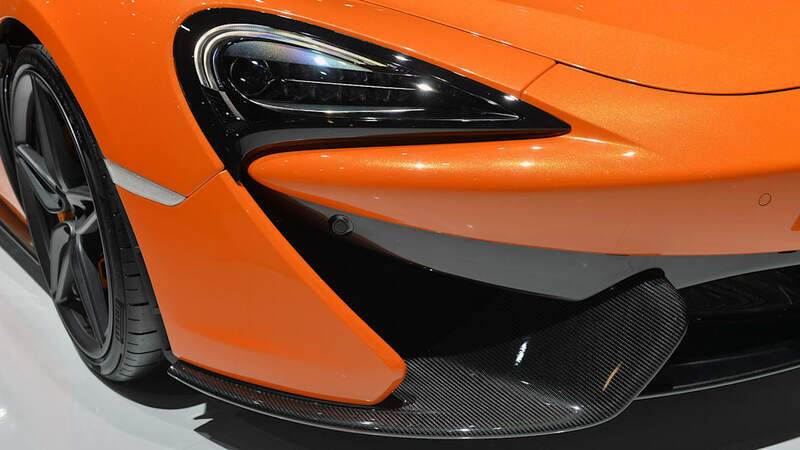 NOAH JOSEPH: Granted, I still can't afford one – not by a longshot – but F1 tech from one of the leading teams in the (relatively) most accessible form yet is a winning combination in my book. 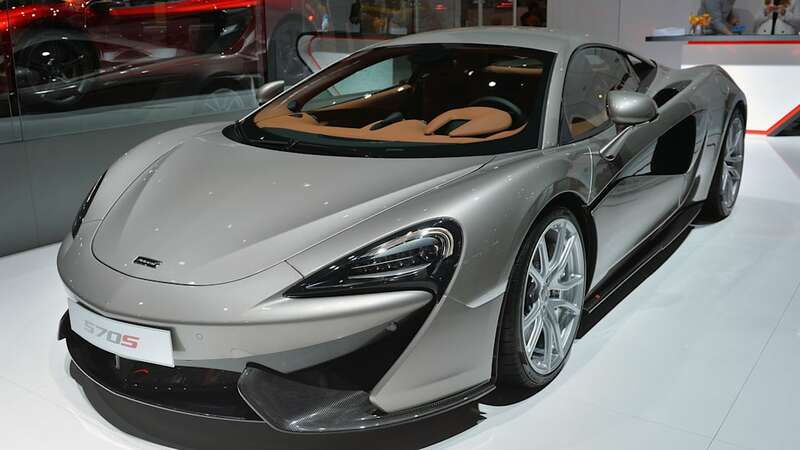 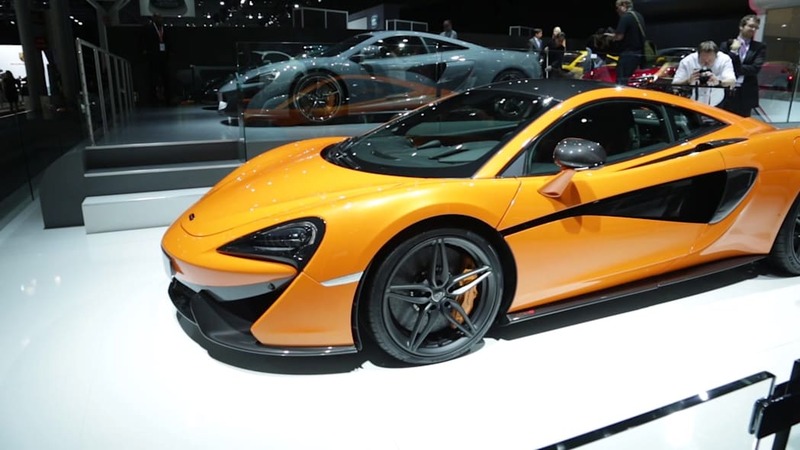 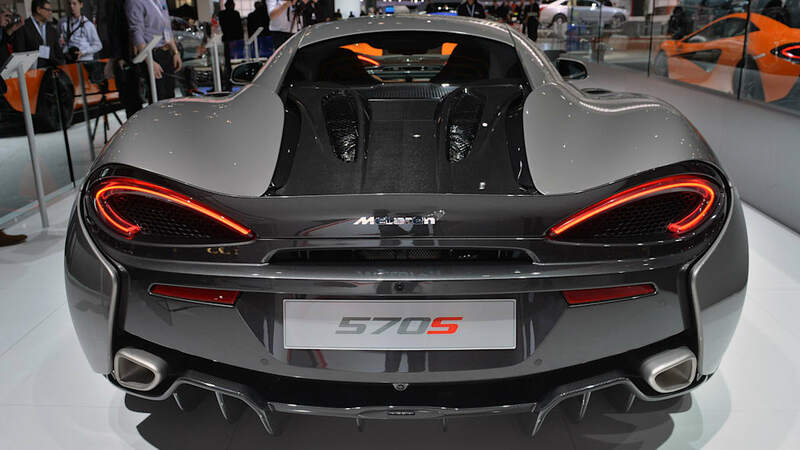 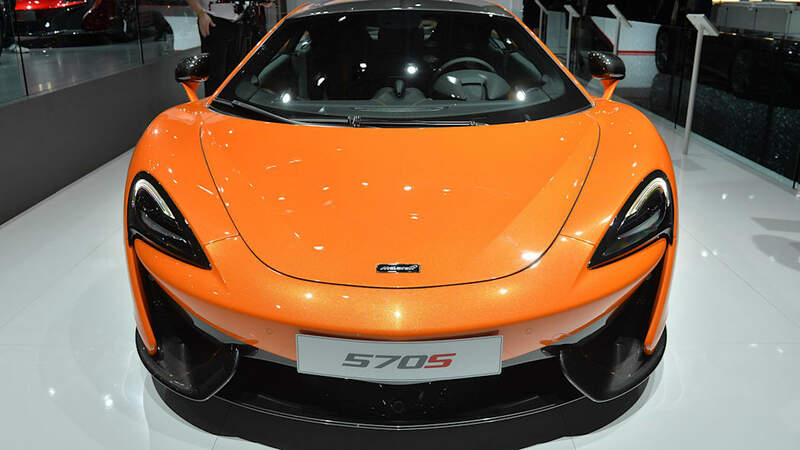 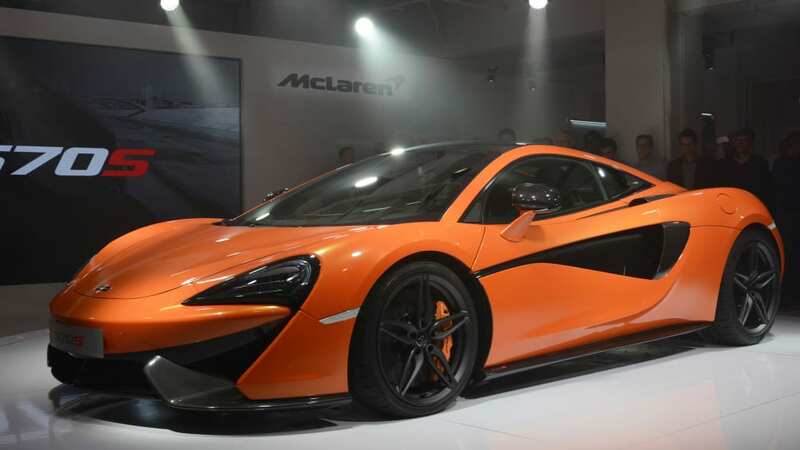 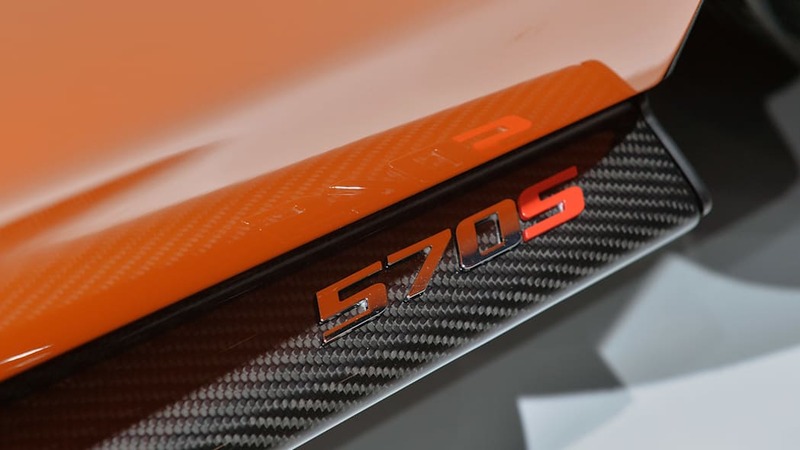 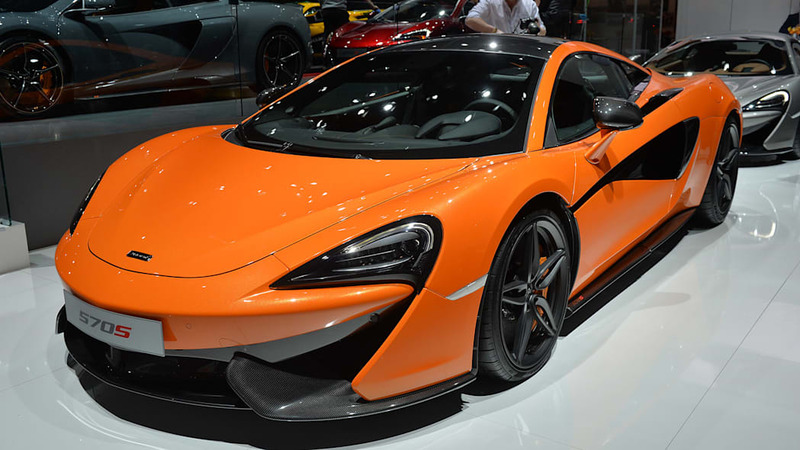 BRANDON TURKUS: I didn't like the 570S when I saw the first pictures, but it's a far more impressive car in person. 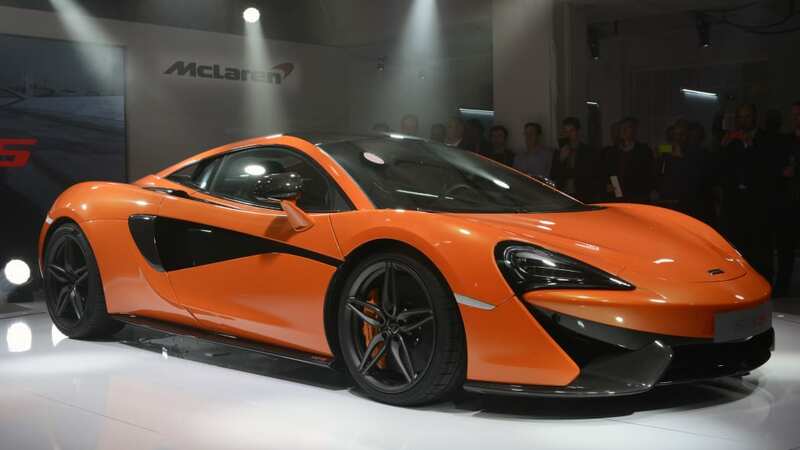 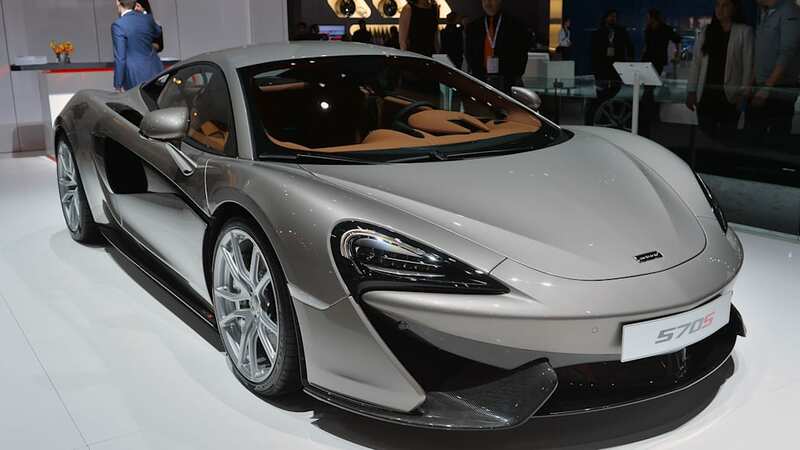 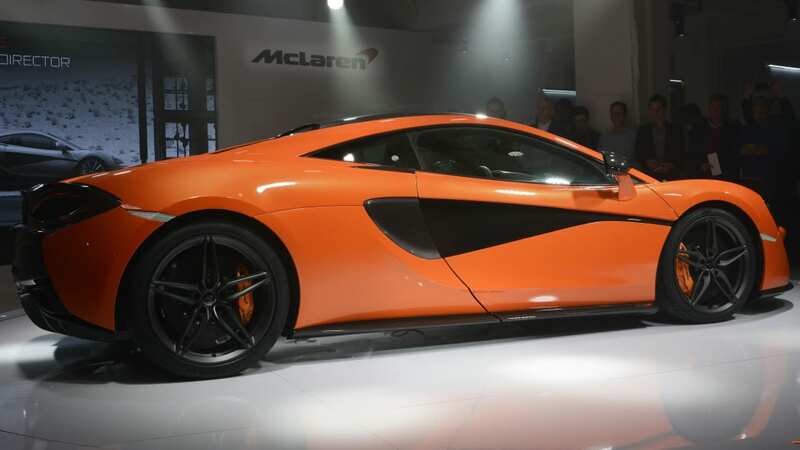 Despite attacking a much lower price point than the 650S, it doesn't look or feel any cheaper. 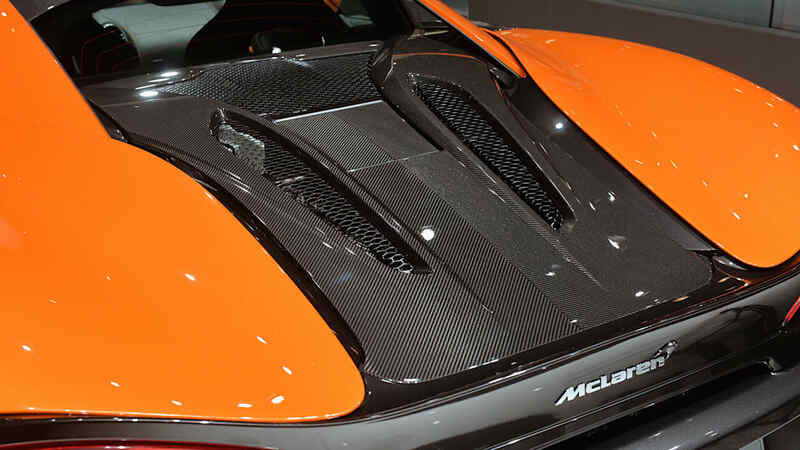 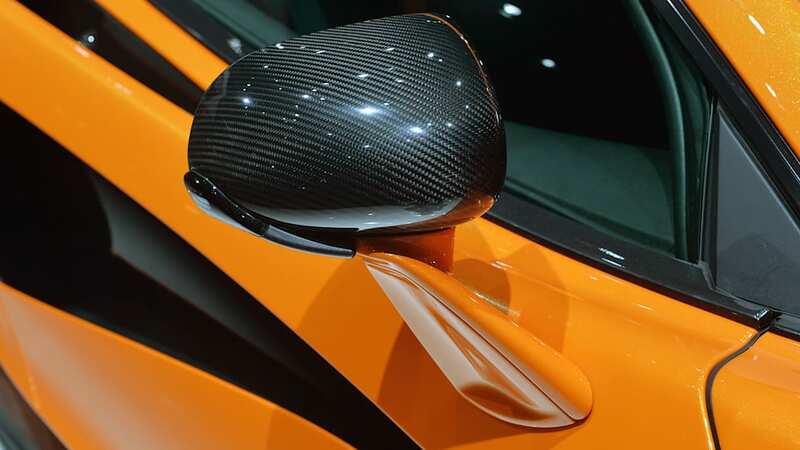 There's a huge amount of carbon fiber, both inside and out, and the leatherwork in the cabin is very nicely done. 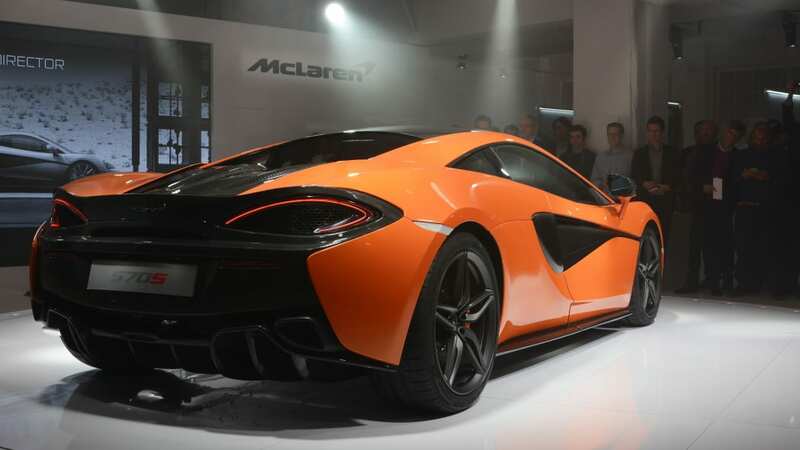 I really, really can't wait to drive this one. 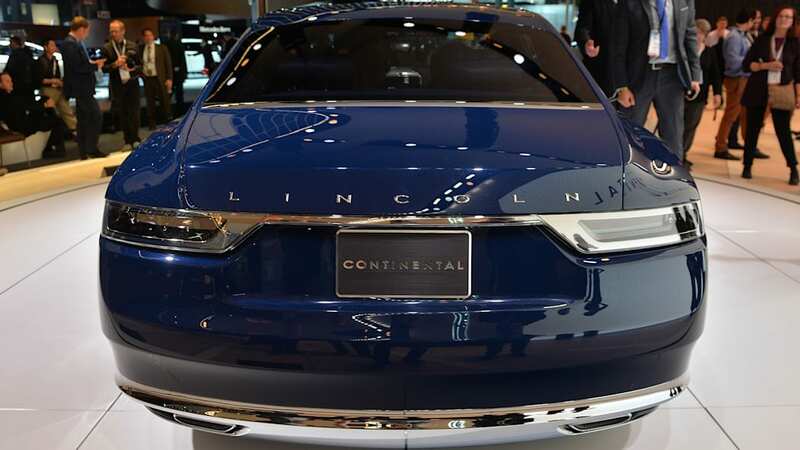 MIKE AUSTIN: Elvis owned his share of Lincoln Continentals back in the day. 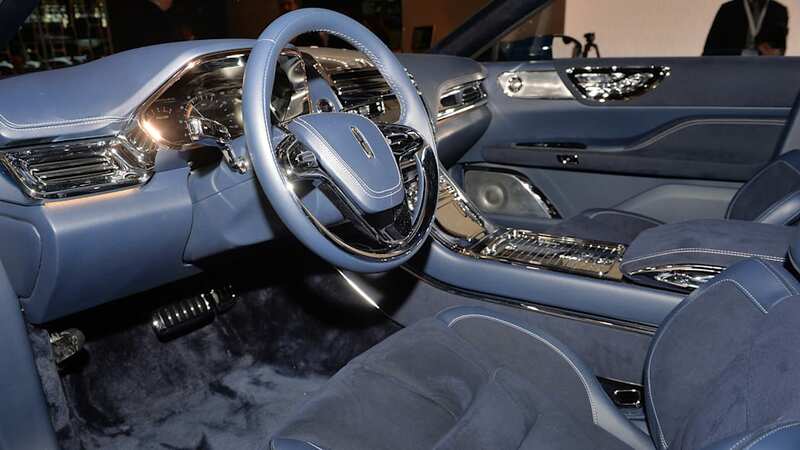 I can't help but think he'd love this one, especially with all the blue suede. 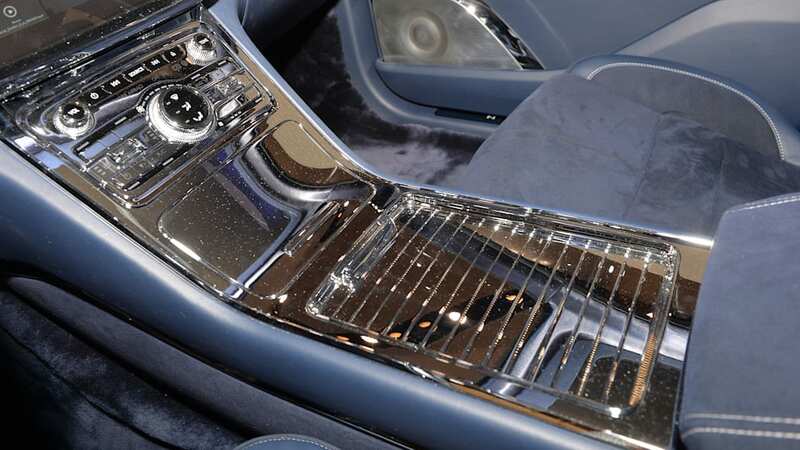 I can even picture The King shooting out the infotainment screen on this concept car. 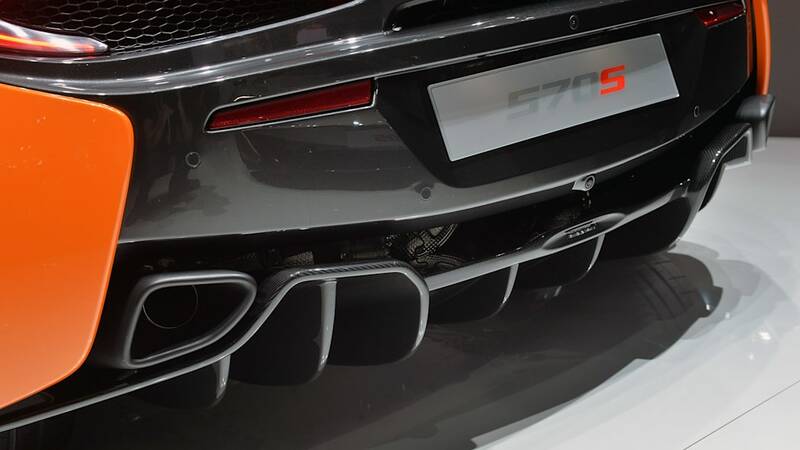 SHARON CARTY: Yeah, there's a reason why sometimes we keep chattering on and on about the same car. 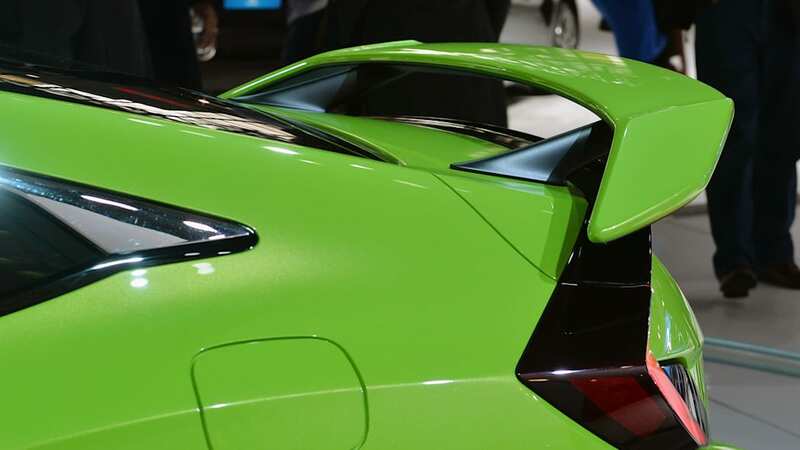 That's because sometimes it's the most awesome car at an auto show. 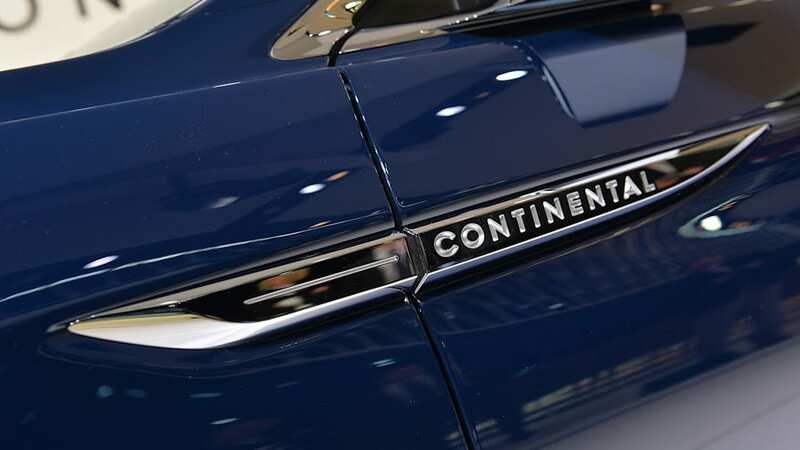 Sure, it looks a lot like the Bentley Continental. 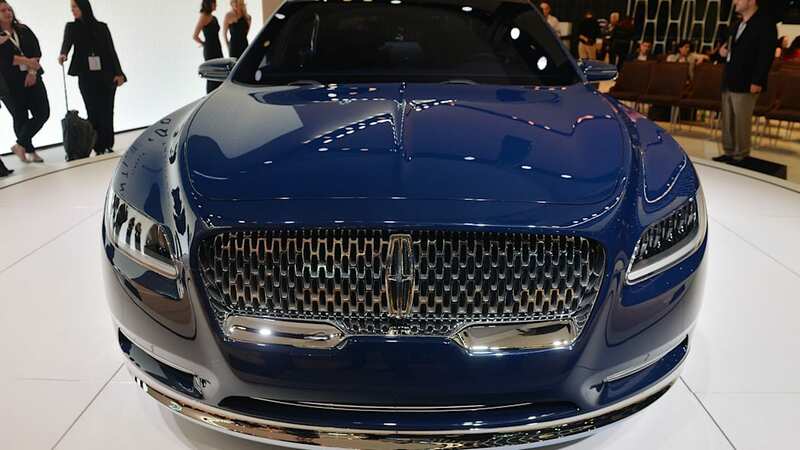 But Lincoln should be striving for that regal, upper-crust look. 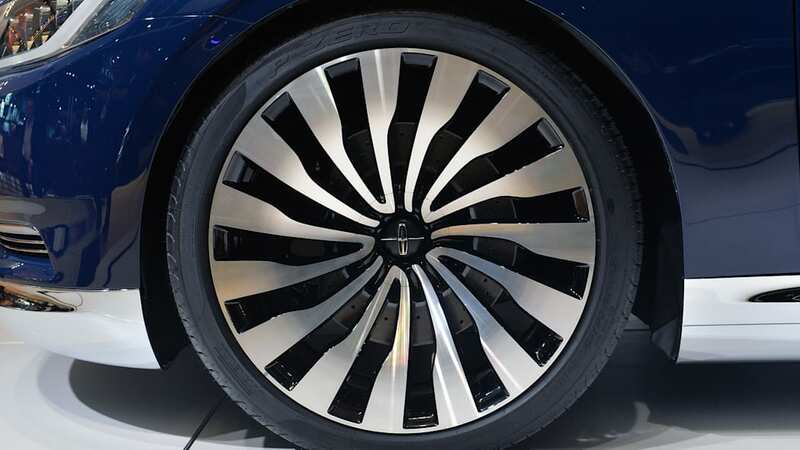 Kudos to the designers, and I'd really like a set of those wheels please. 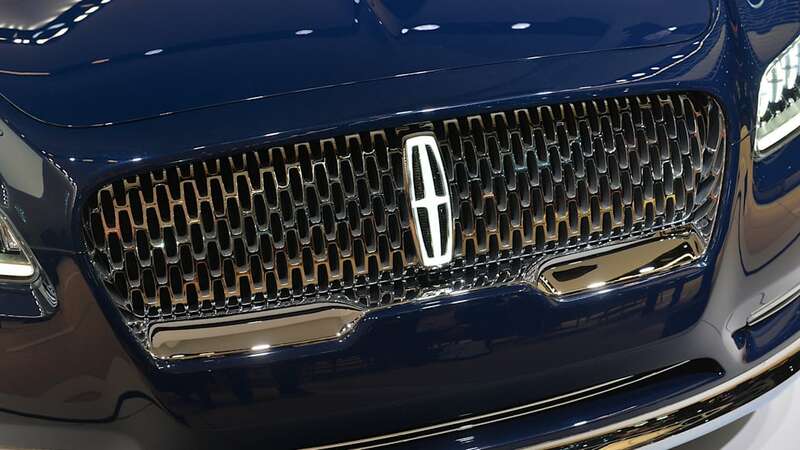 JEREMY KORZENIEWSKI: Just when the split-wing grille started growing on me, Lincoln went and changed it up. 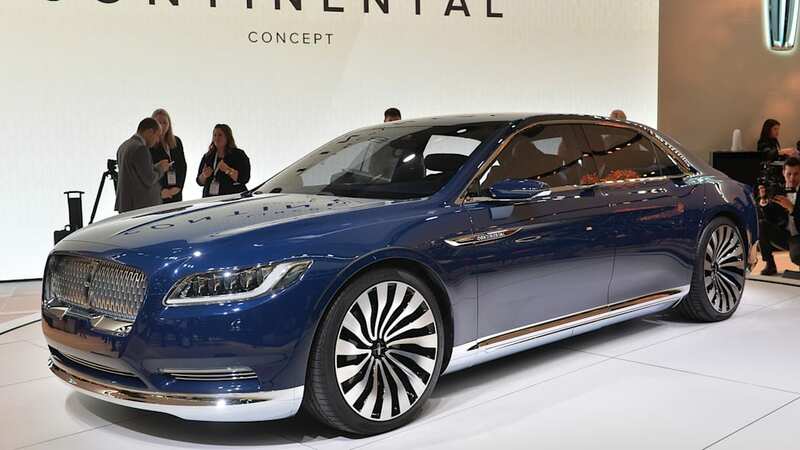 That's okay, though, 'cuz this Continental ought to go into production looking just the way it does as a concept. 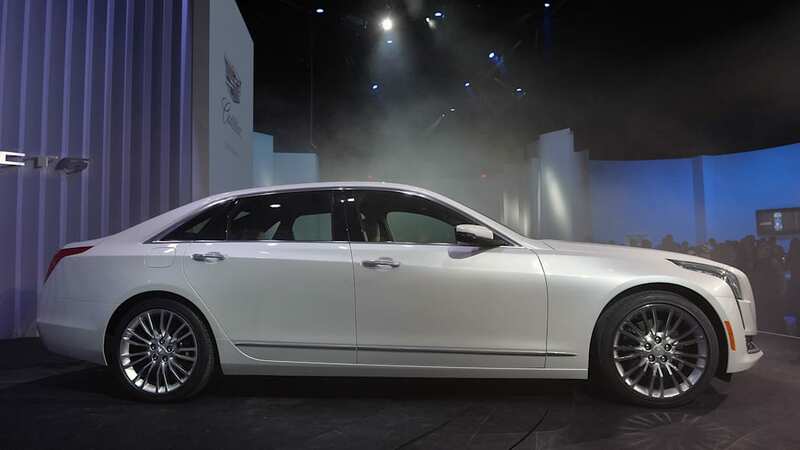 While I'm no fan of a copycat, in this instance, the fact that Bentley designers stood up and took notice is not a bad thing. 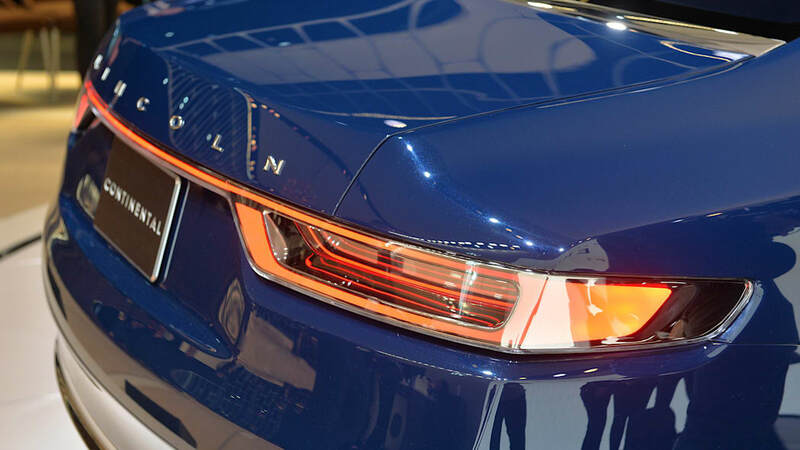 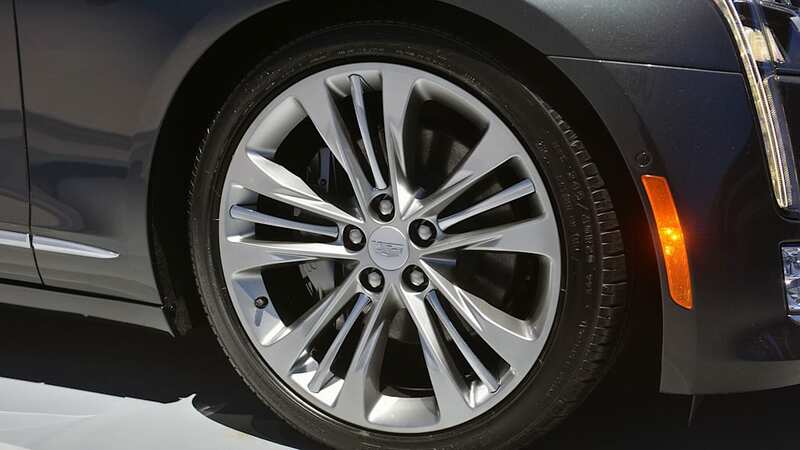 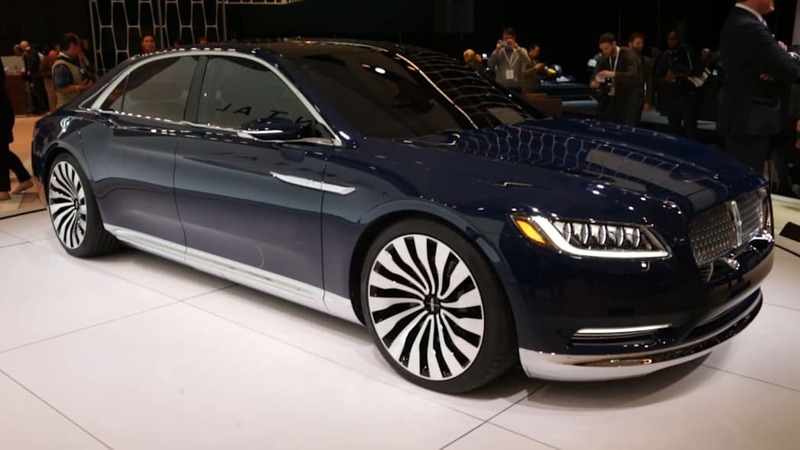 ADAM MORATH: Among the best-looking luxury concepts to come out of the Detroit in years, the Lincoln Continental gracefully walks the line between throwback charm and modern design. 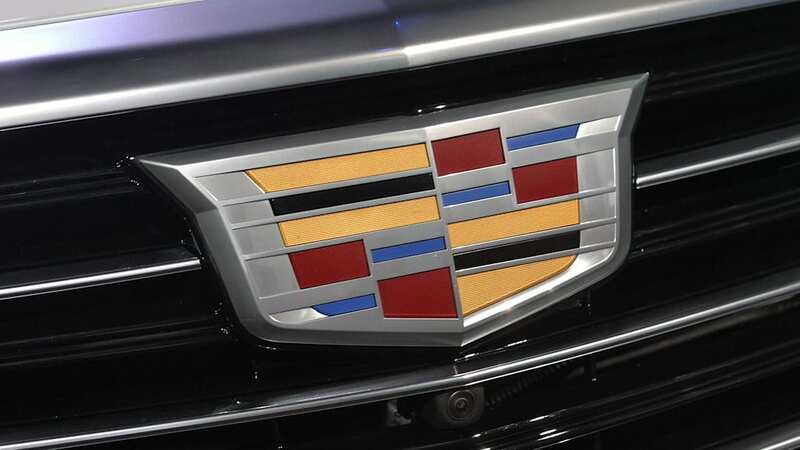 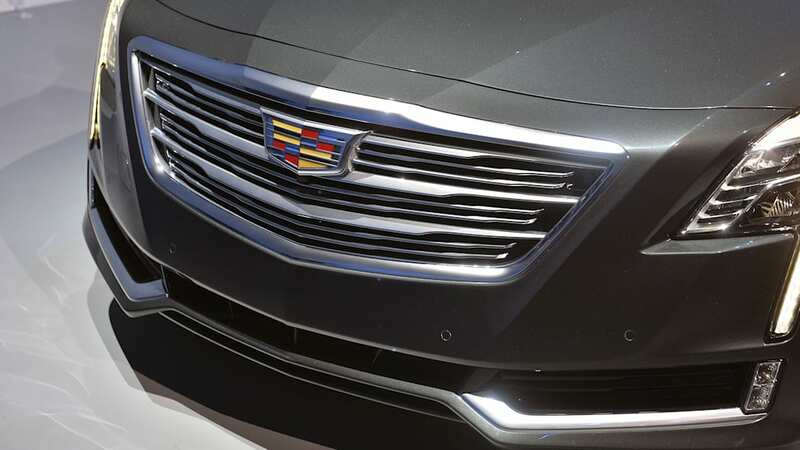 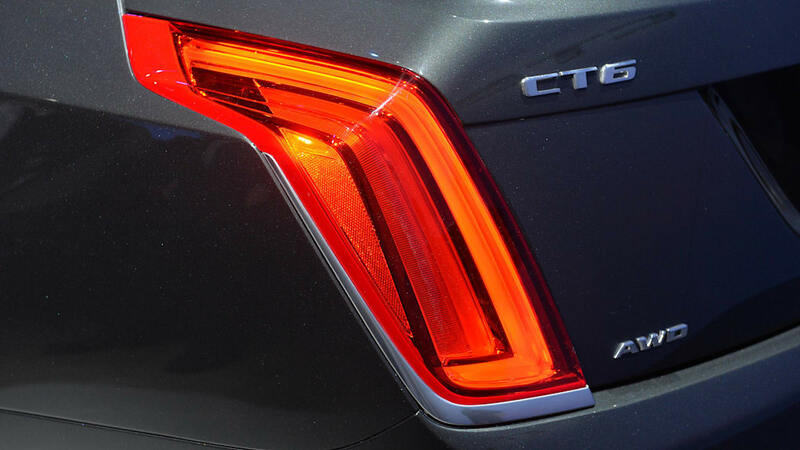 The concept also marks the return of a once-revered nameplate, a welcome break from Lincoln's alphabet soup naming convention, not to mention being reminiscent of Christopher Walken's beloved recurring SNL character. 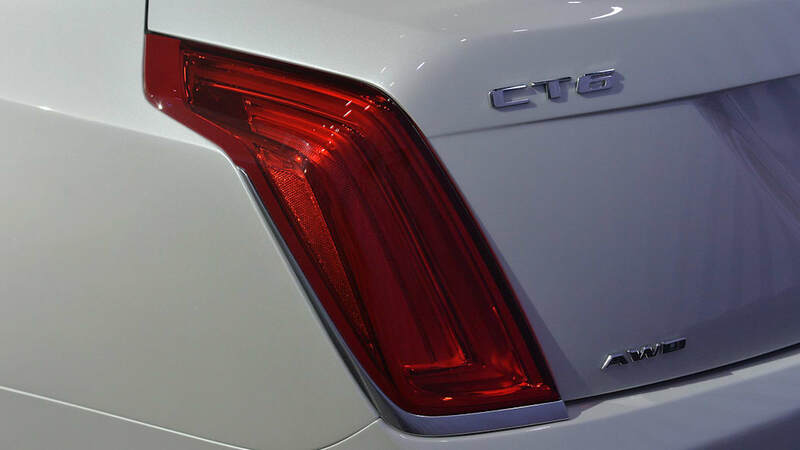 Extra points for Christopher Walken. 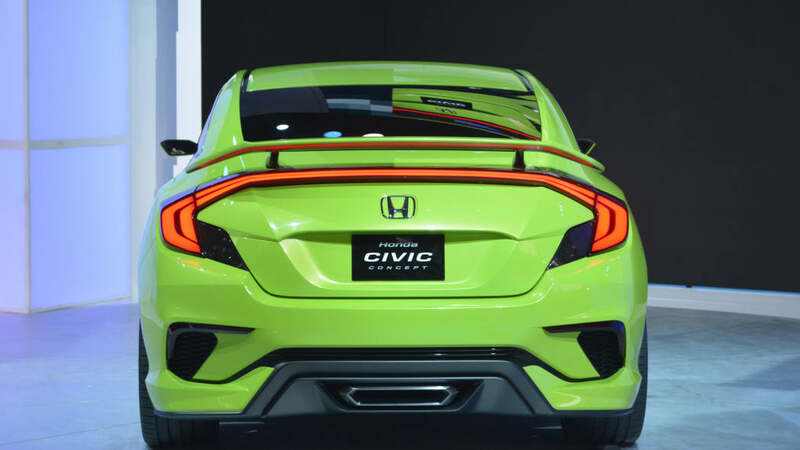 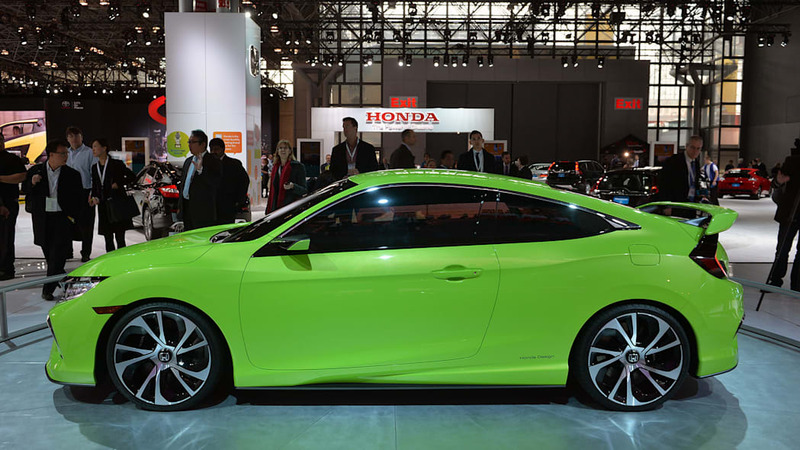 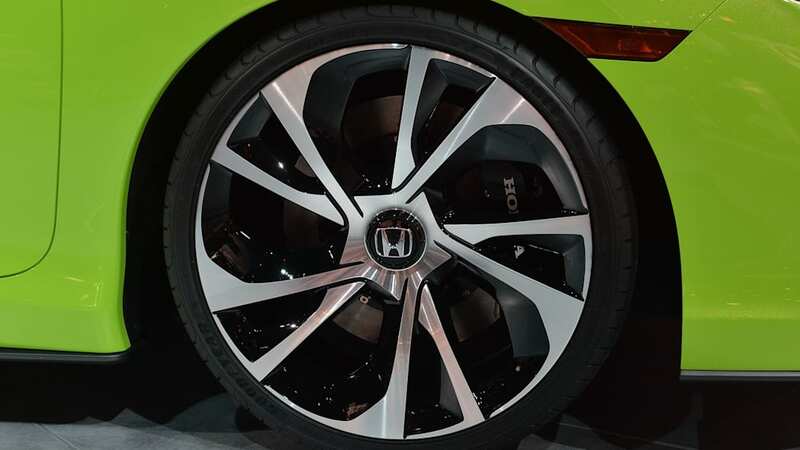 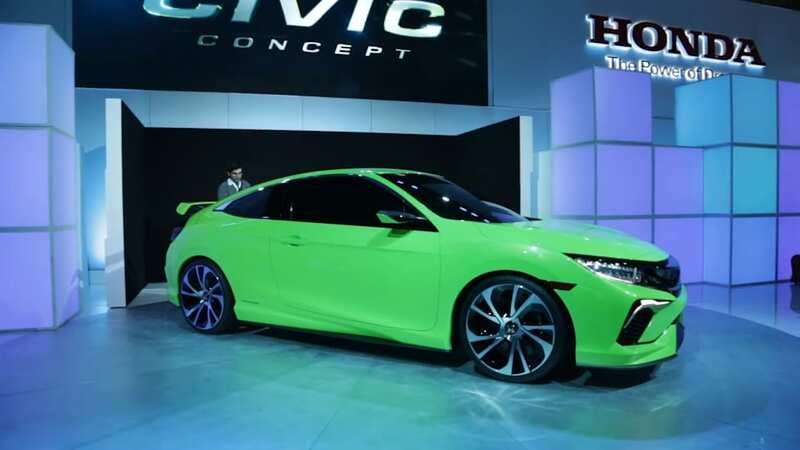 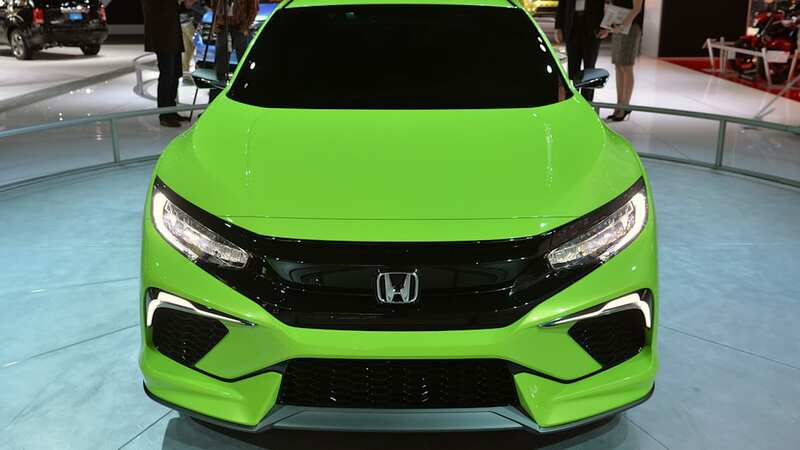 The Honda Civic Concept unveiled at the 2015 New York International Auto Show. 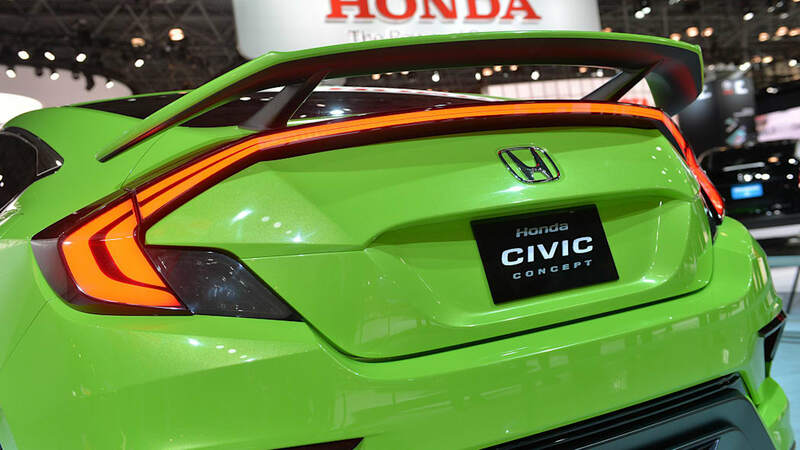 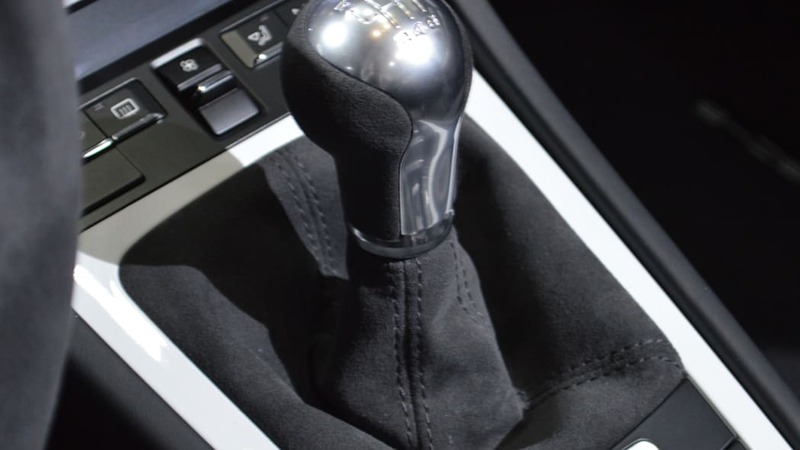 STEVEN EWING: I love when automakers have legitimate surprises for us at auto shows. 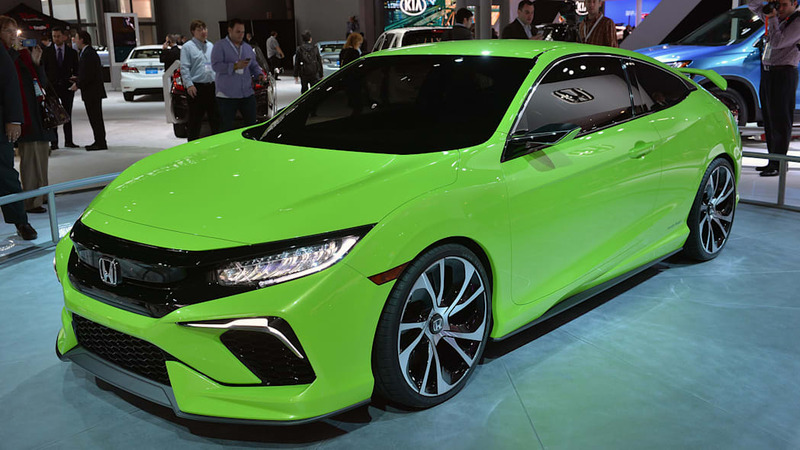 Leading up to New York, Honda would only tell me it had a "design announcement." 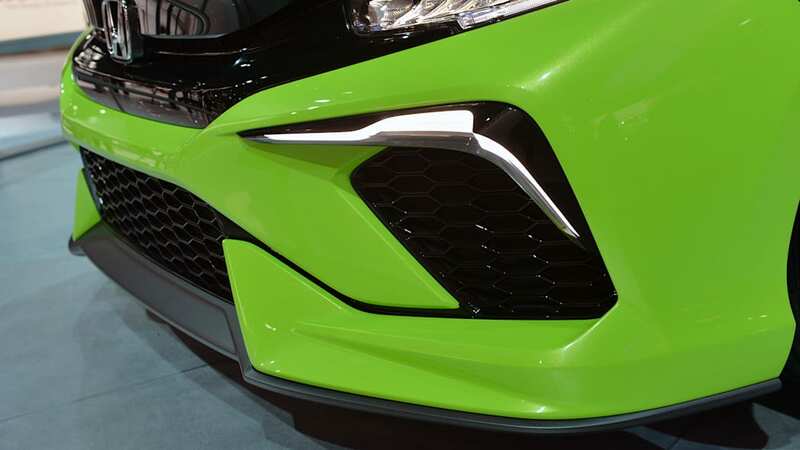 Yeah, you could say that. 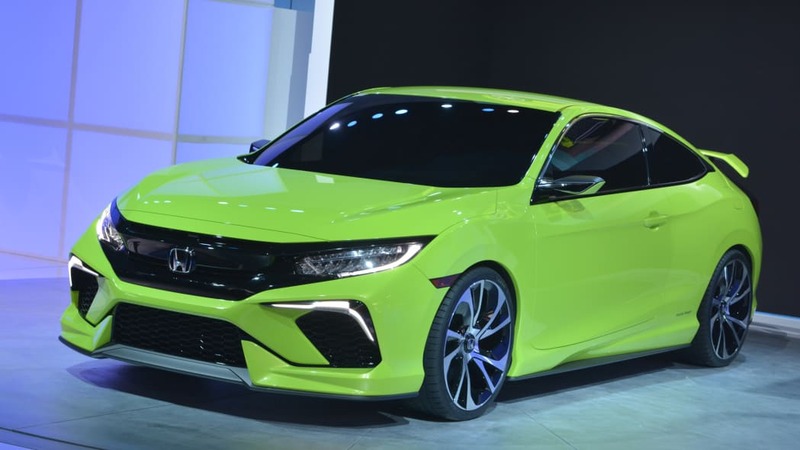 The surprise of this debut, plus the exciting announcement of the Type R, turbo engines, and return of the hatchback makes this a big winner, for sure. 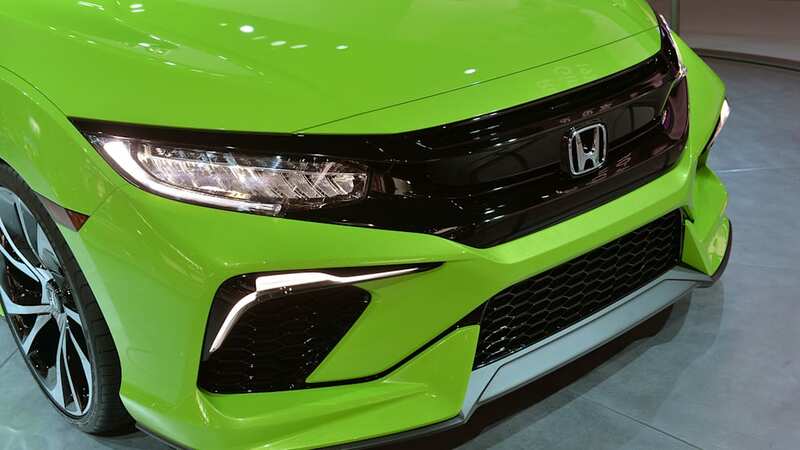 MIKE AUSTIN: Honda did the impossible. 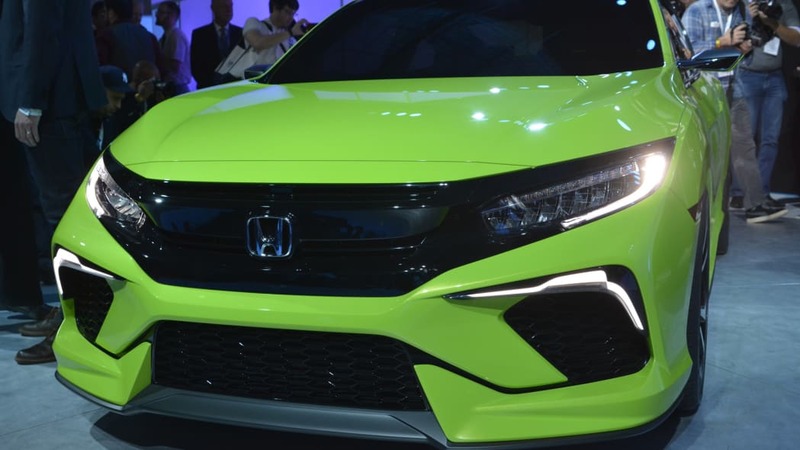 It made a car that is instantly recognizable as a Honda but moved the brand's styling forward in a way that was desperately needed. 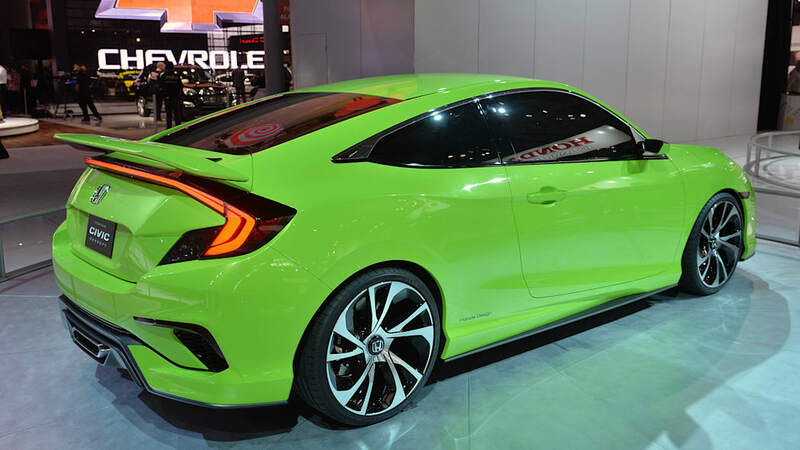 Hello again, exciting Honda, we missed you. 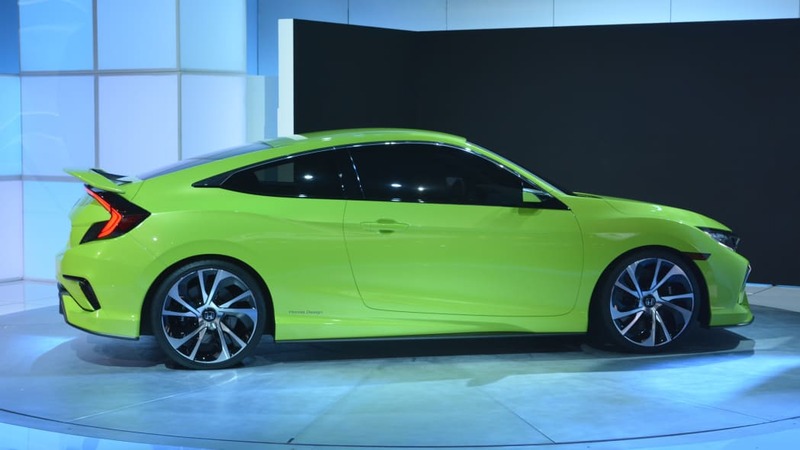 Also, lime green. 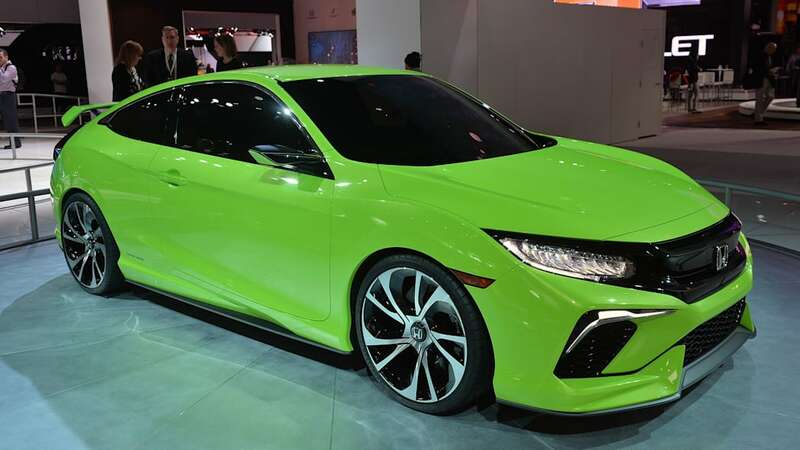 GREG MIGLIORE: Love the bright lime green paint, and the turbo four-cylinder paired with a six-speed manual has me licking my chops. 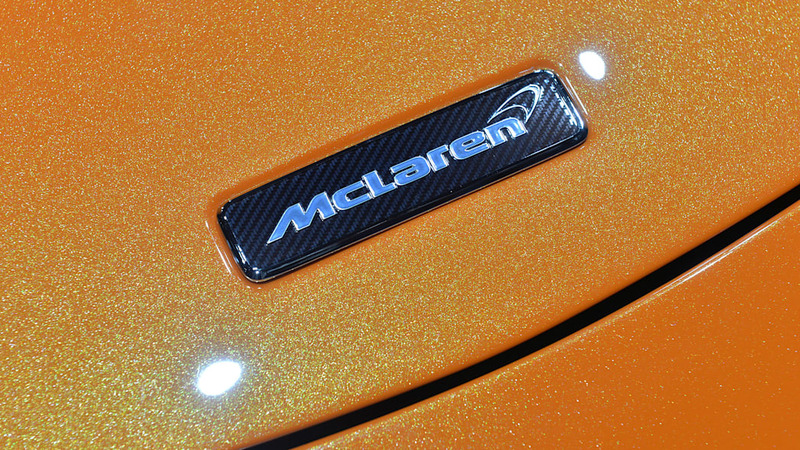 SHARON CARTY: This was a sweet surprise, and the color hurts so good. 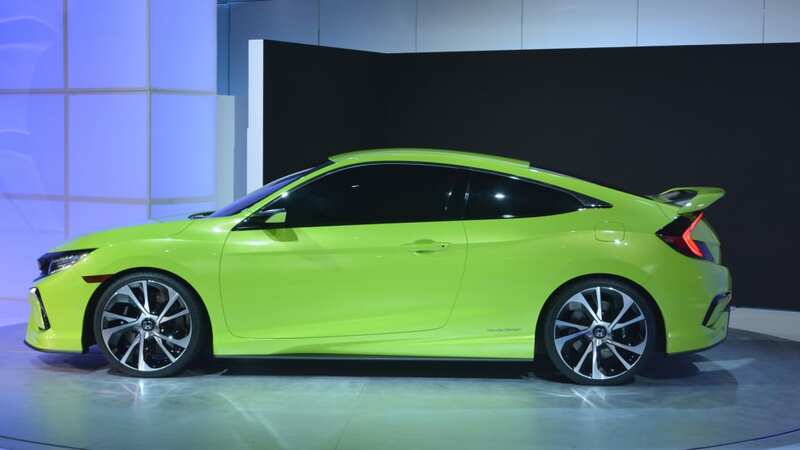 ADAM MORATH: The aggressive, angular styling of the Civic concept reinvigorates the mark for its 10th generation. 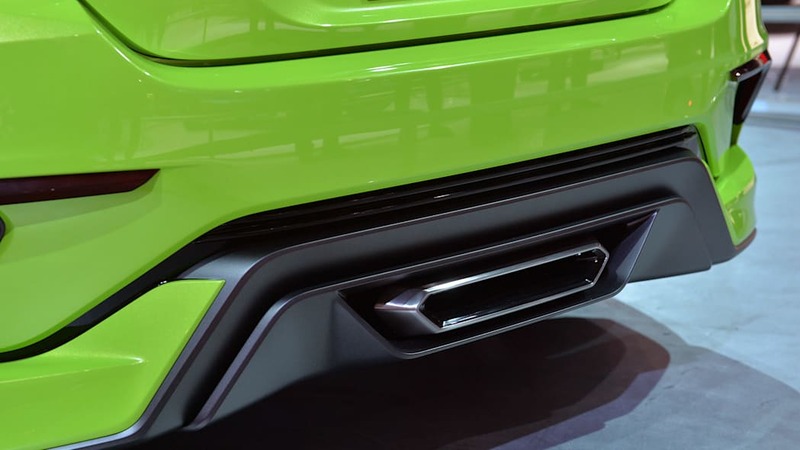 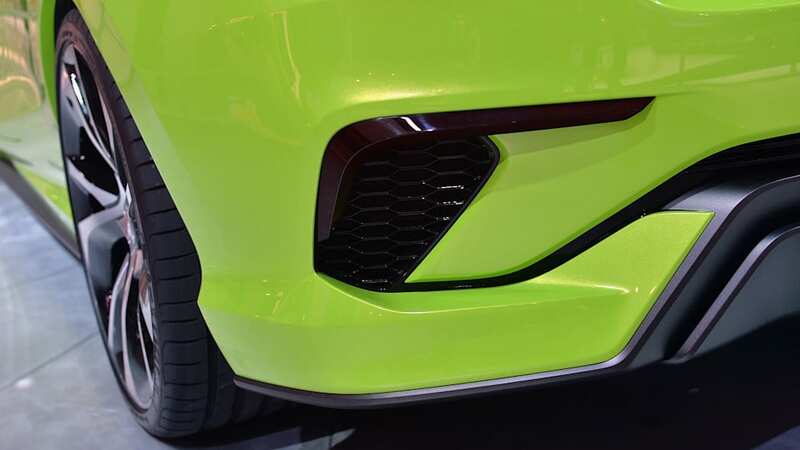 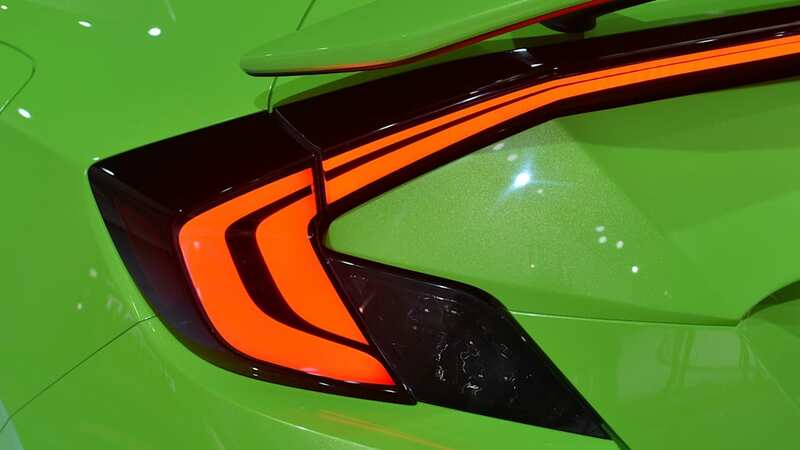 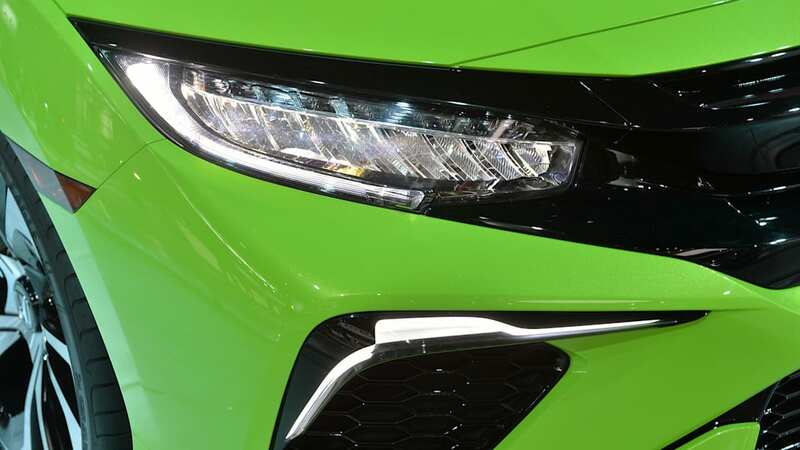 We're so excited about the edgy design and announcement of a 5-door hatchback variant that we're even willing to forgive the bright green color of the concept. 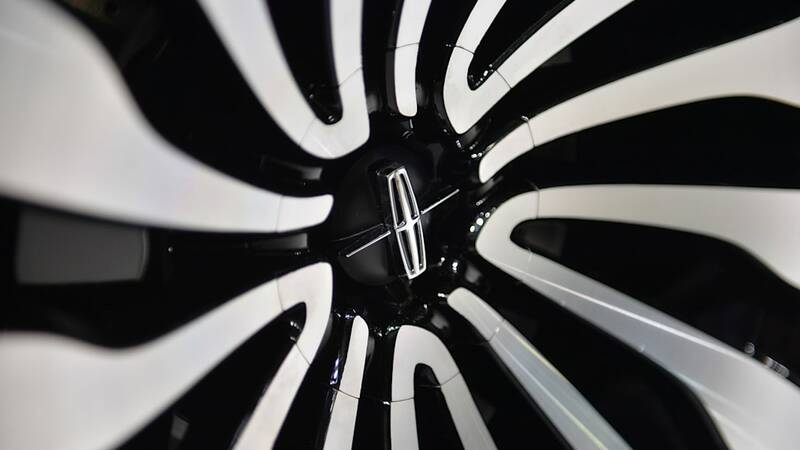 SEYTH MIERSMA: Shock, awe, excitement... suspicion. 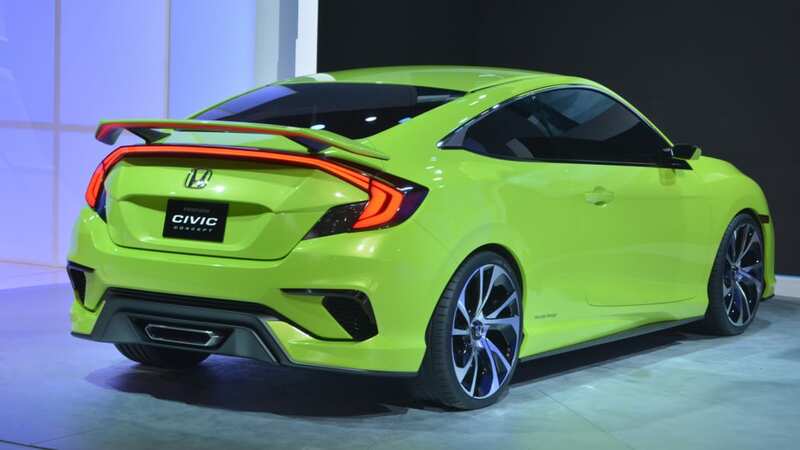 The Civic concept is so good that I can't quite believe it. 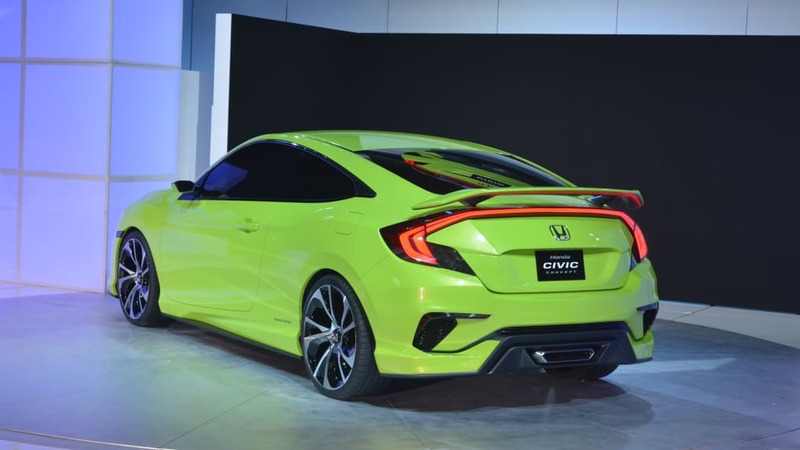 But the truth is that new Honda production cars have hewn so close to the concepts that came before them, that we should all dare to dream that the tenth-gen Civic will be this good looking. 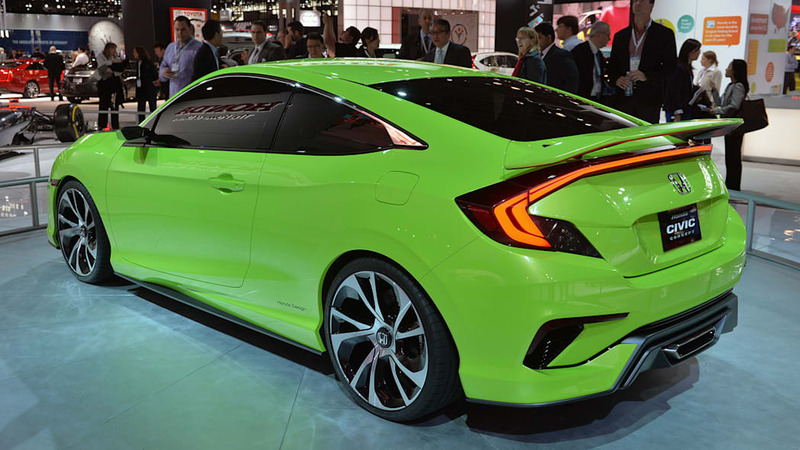 Oh, hey, they're bringing the Type R to the US, and we're getting a five-door hatch again. 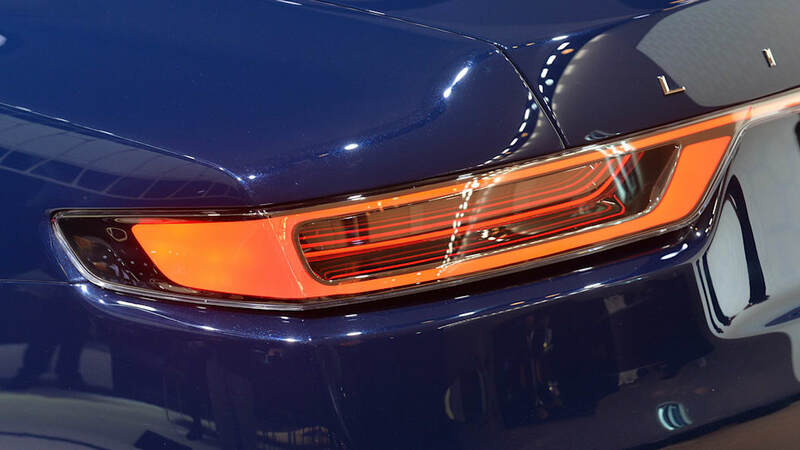 Full points.